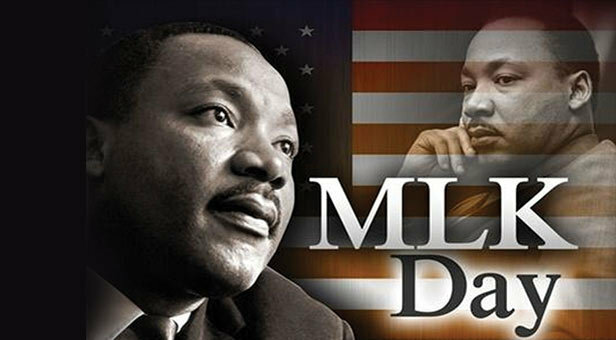 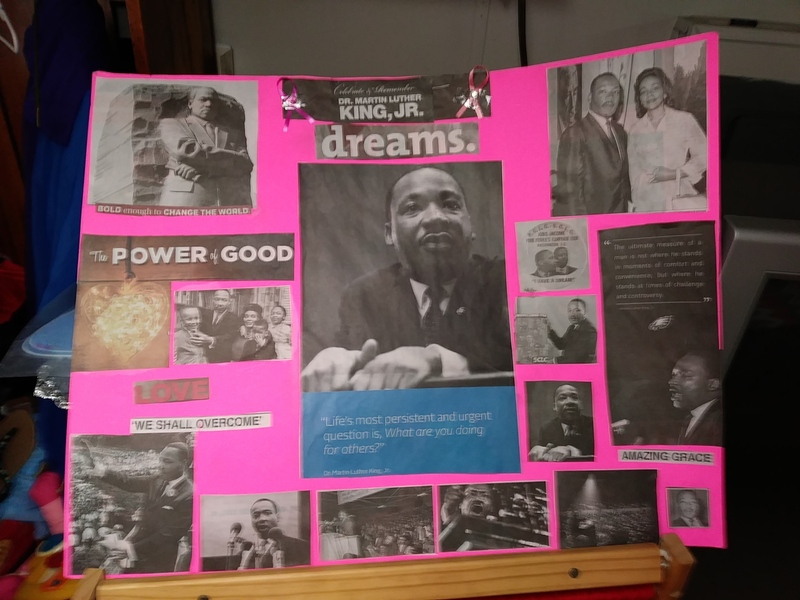 The late Dr. Martin Luther King, Jr. persistent and urgent question was "What are you doing for others?" 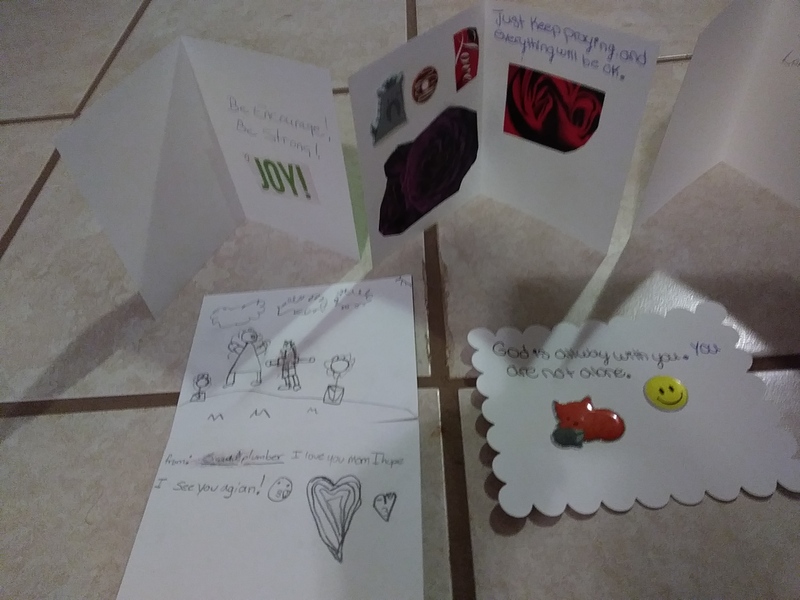 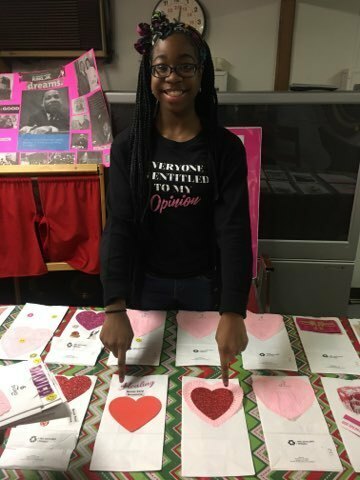 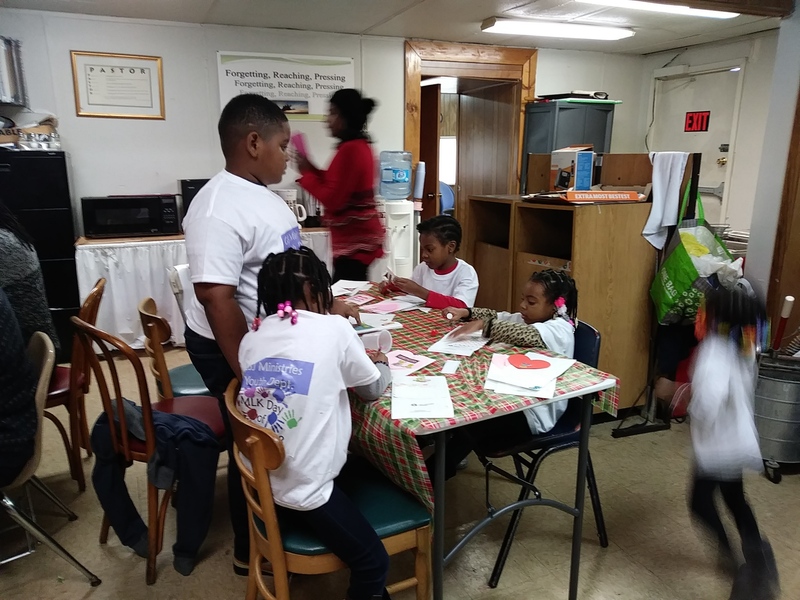 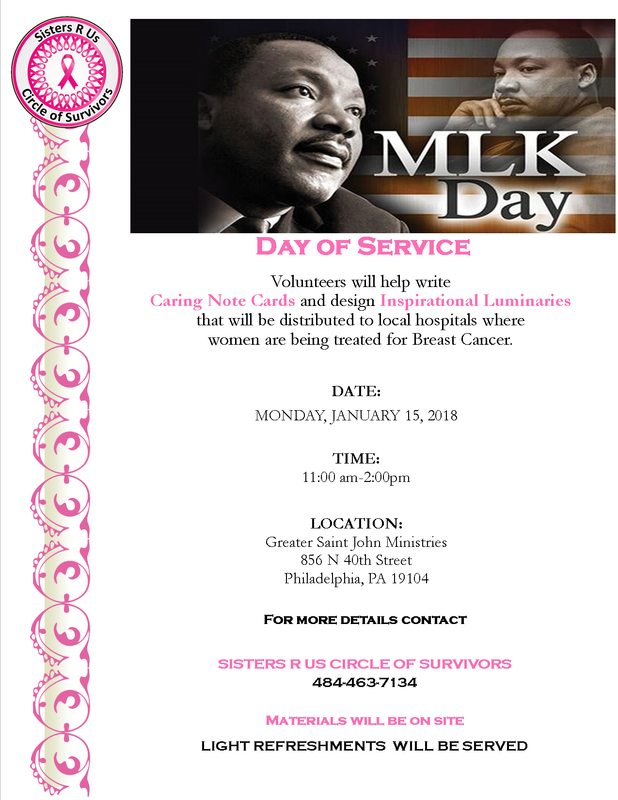 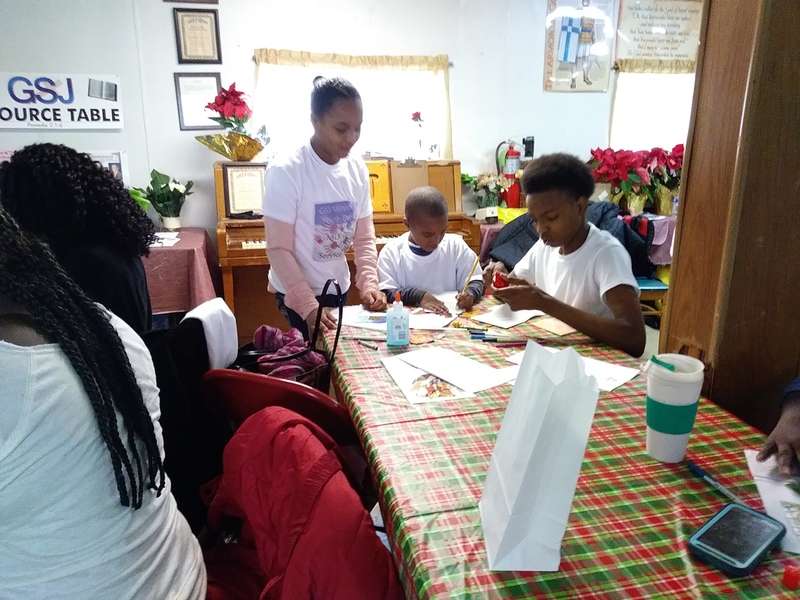 On Monday, January 15, the day of observance for the MLK National Holiday volunteers of all ages showed up at Greater Saint John Ministries to help write caring note cards and design inspirational luminaries that will be distributed to local hospitals where patients are being treated for breast cancer. 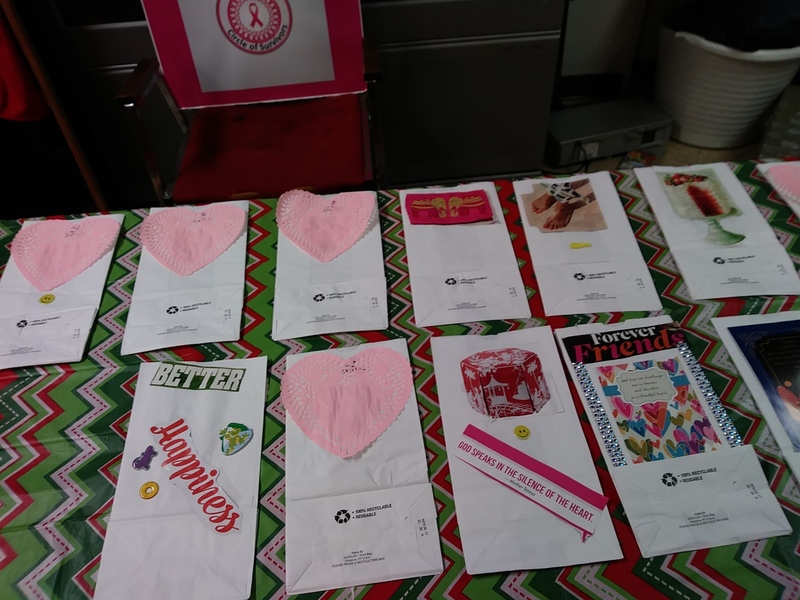 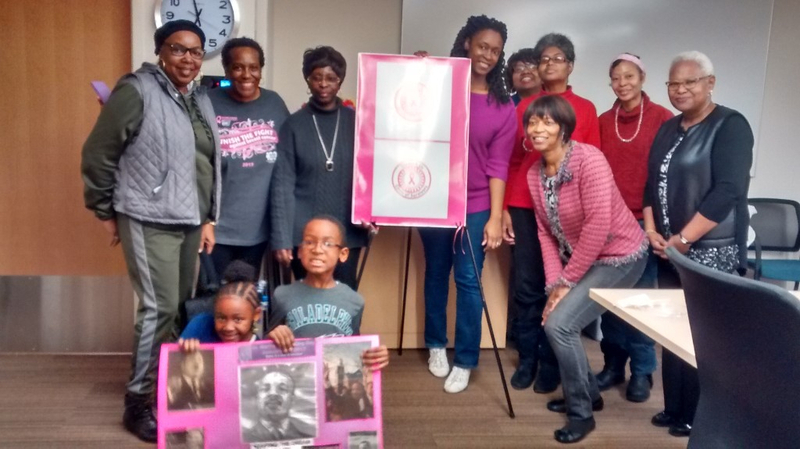 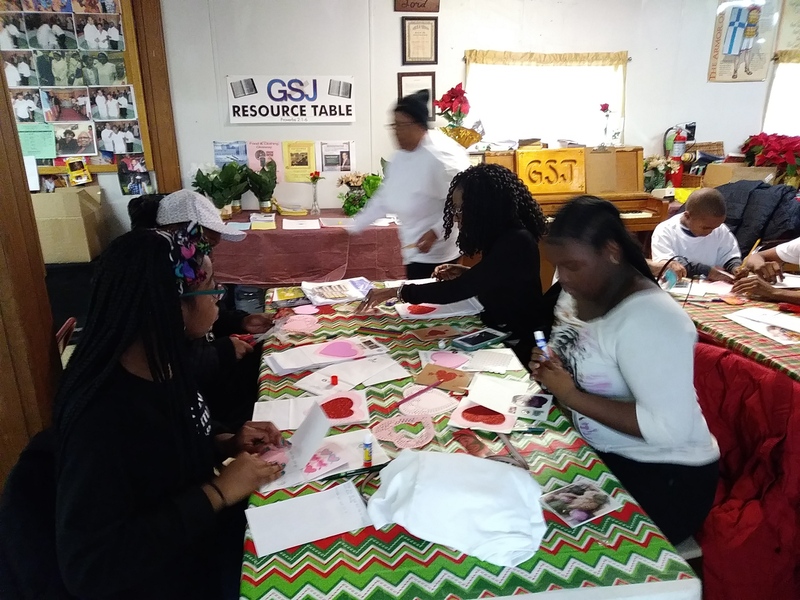 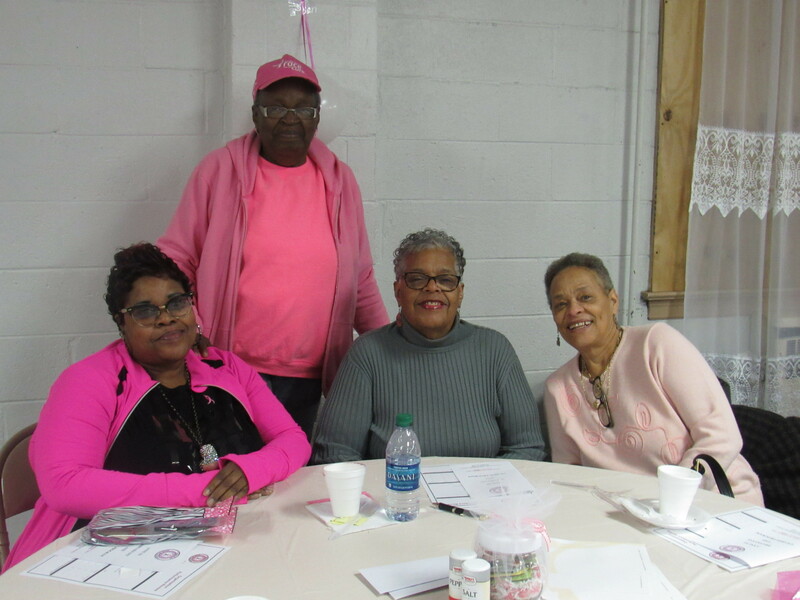 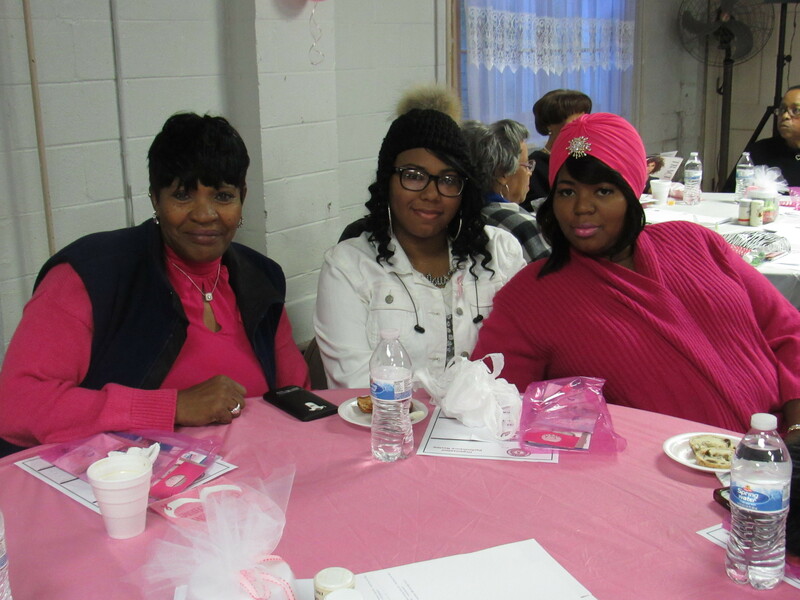 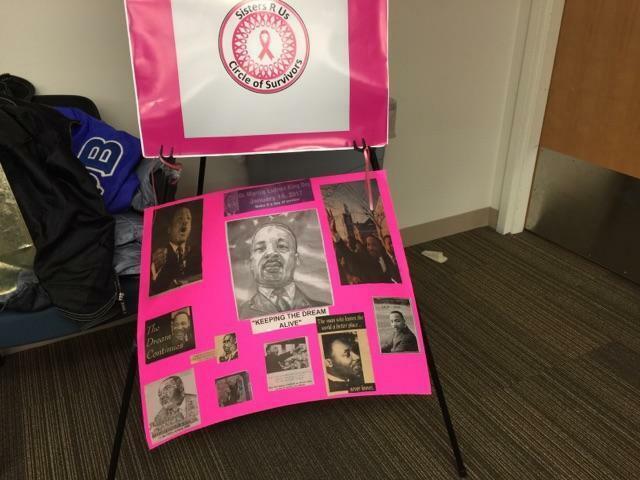 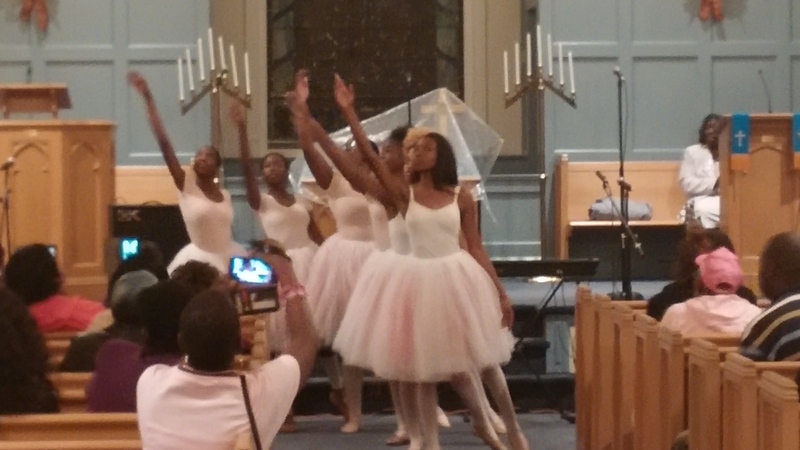 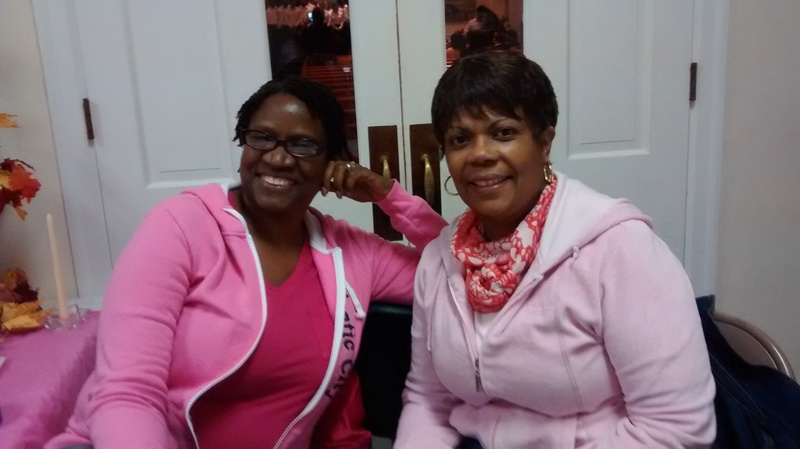 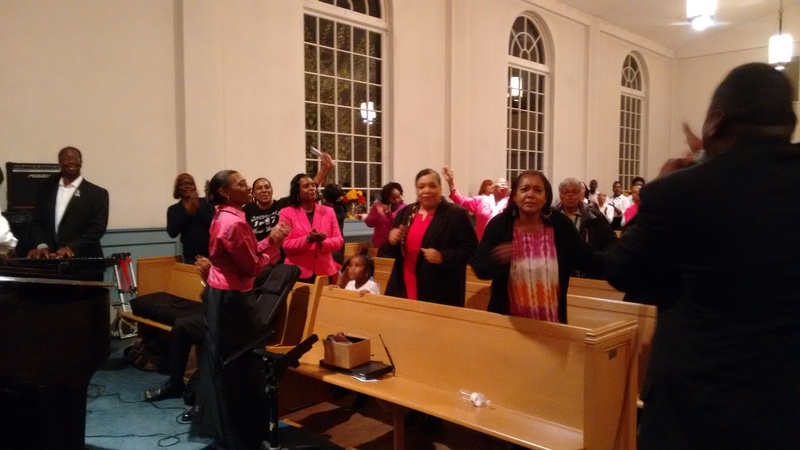 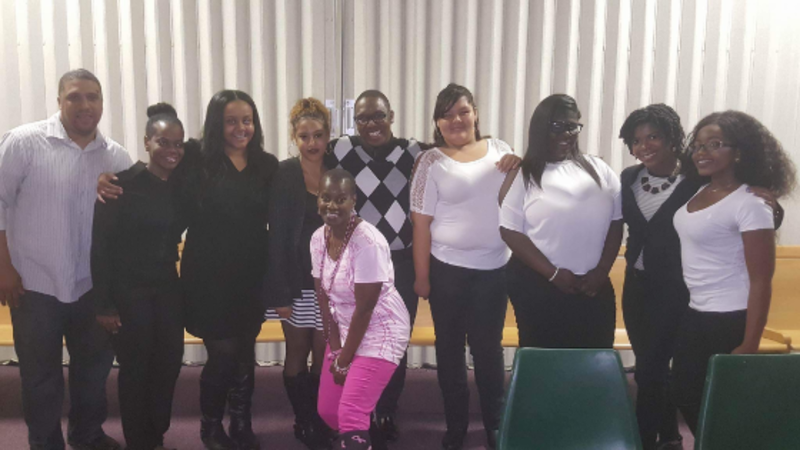 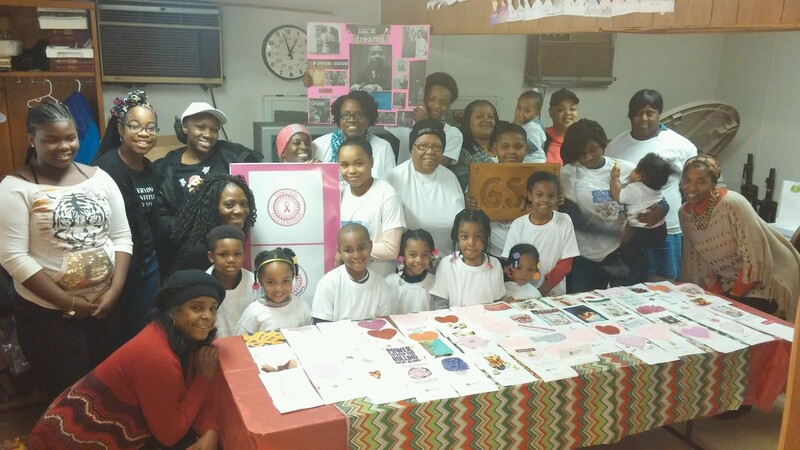 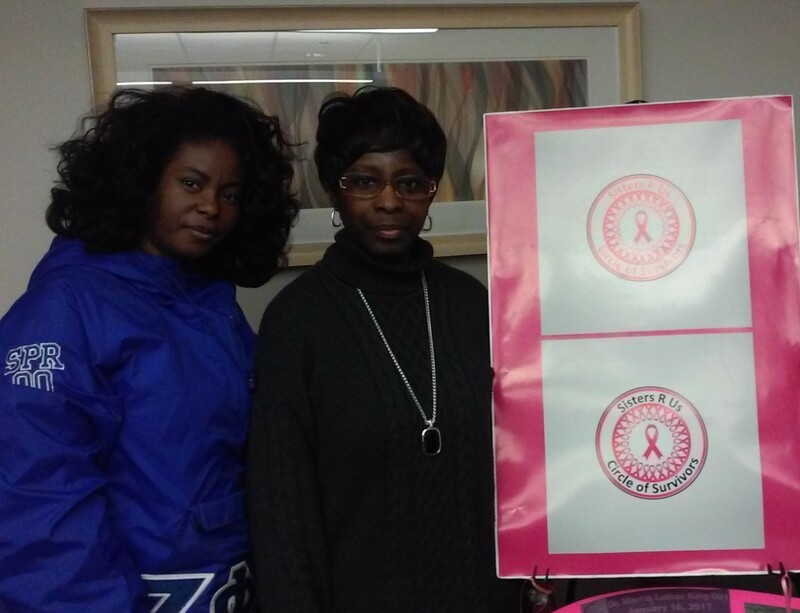 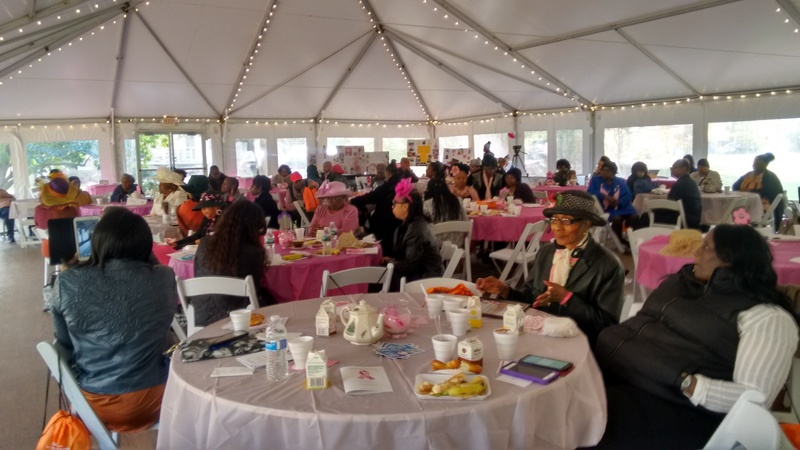 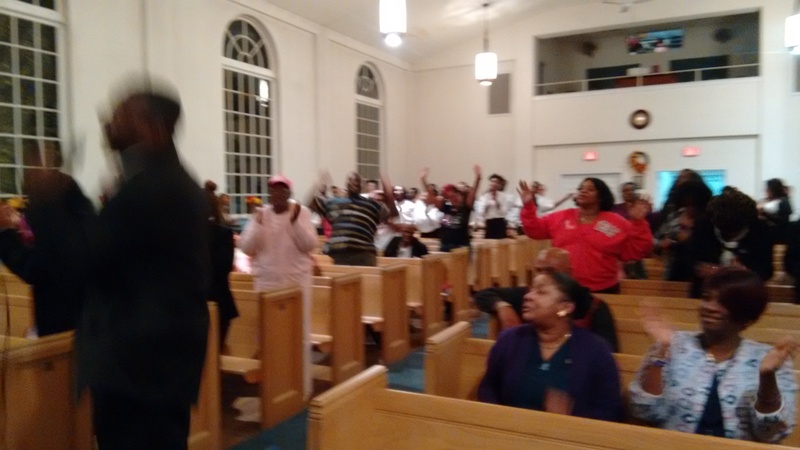 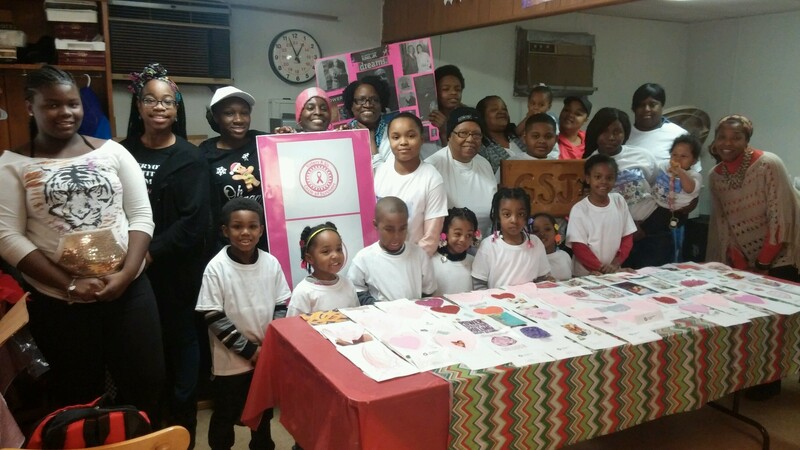 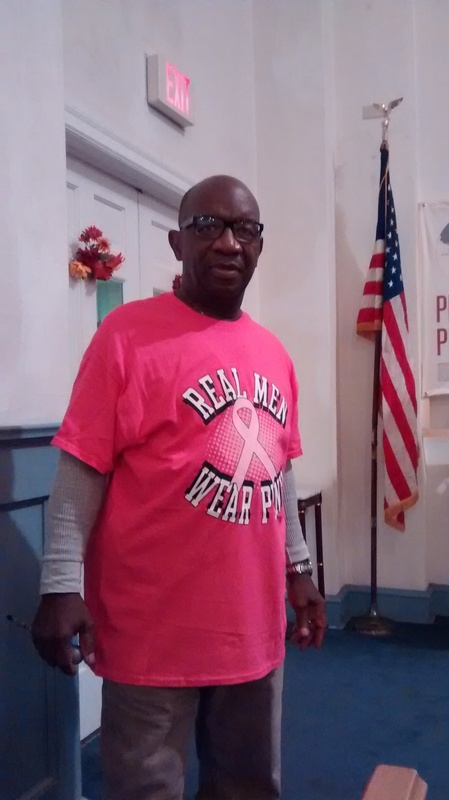 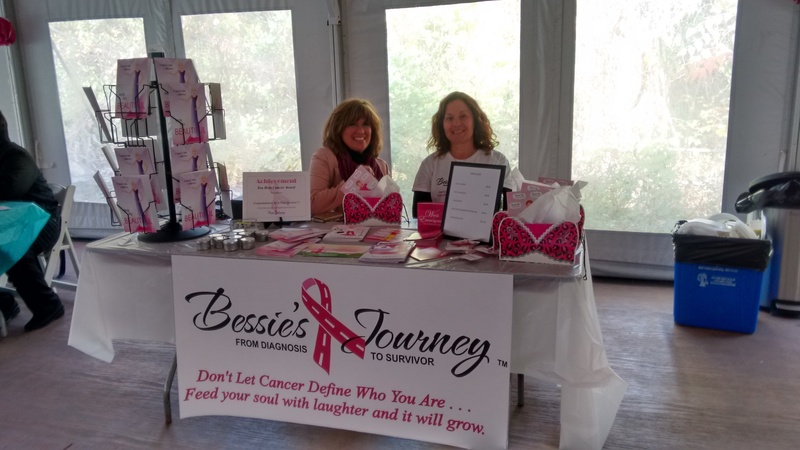 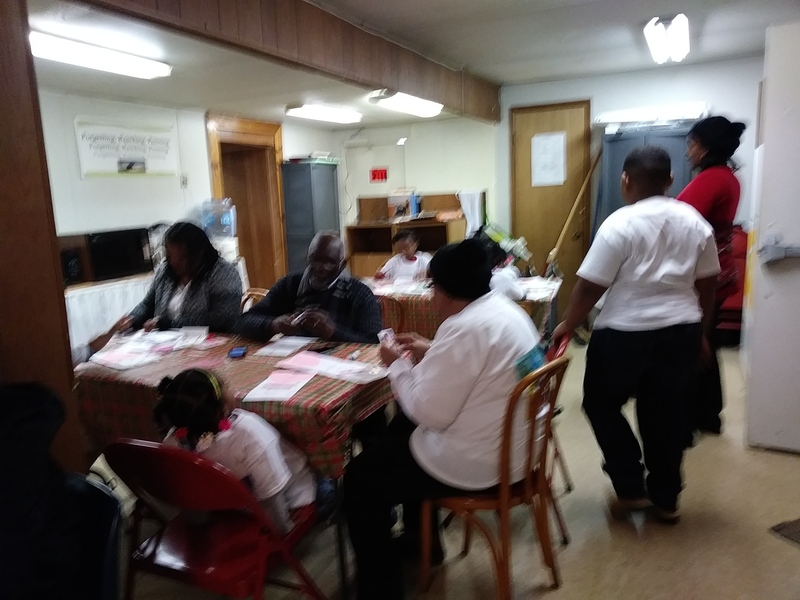 On November 4, 2017 we teamed up with the Cancer Support Community to host a community Breast Cancer Awareness Program: Sisters Surviving and Thriving. 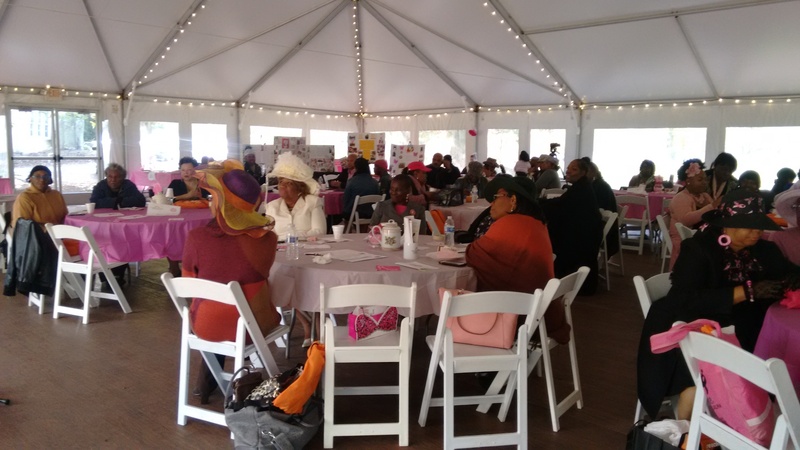 Fancy hats were donned by the attendees to celebrate this year's theme an "Old Fashion Tea Party". 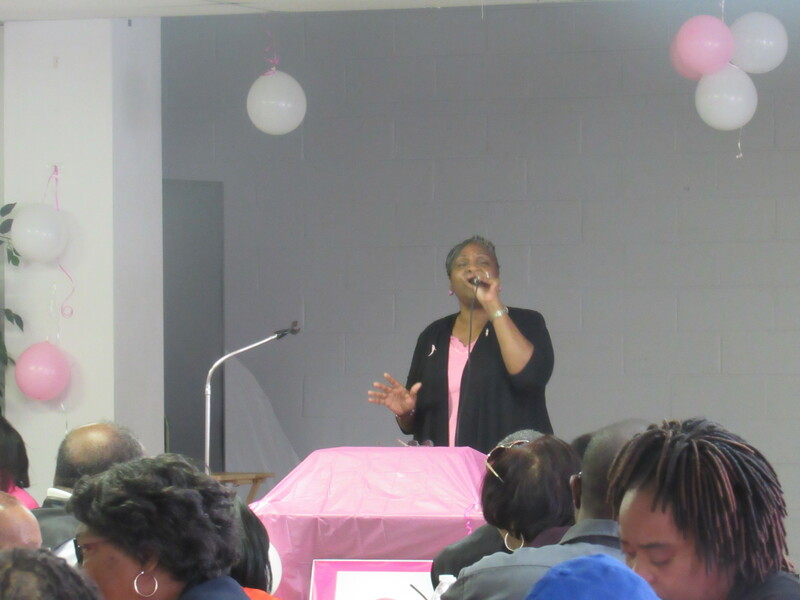 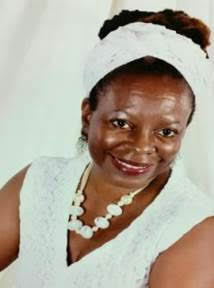 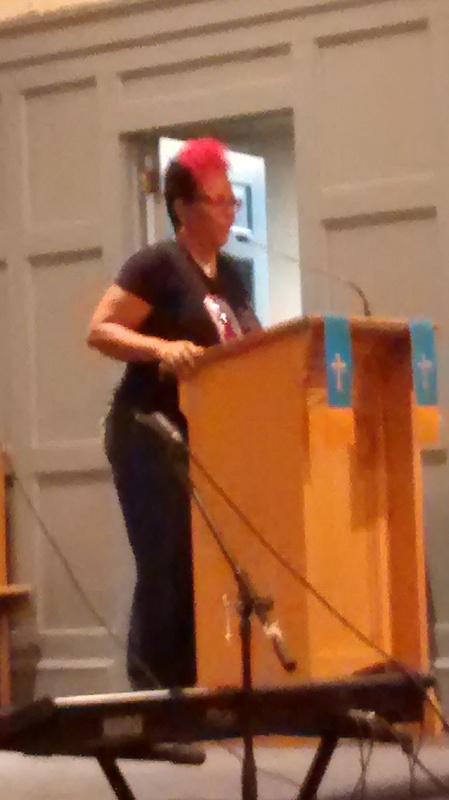 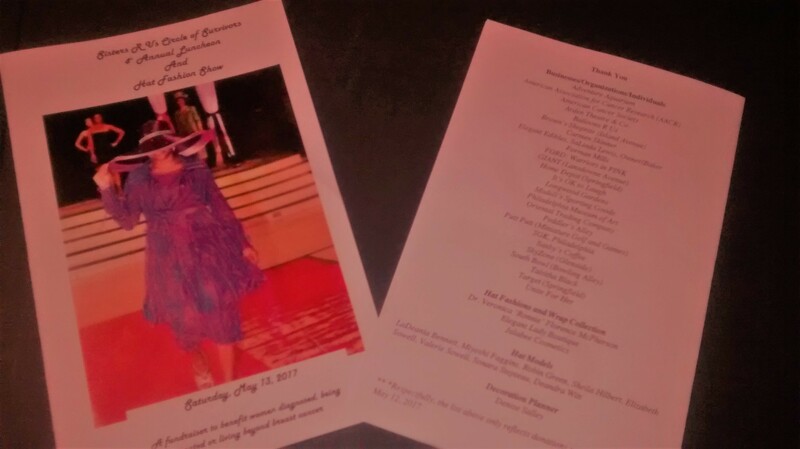 The attendees were entertained by Merium Burwell's stirring spoken word ensemble and lead in a Nia dance by Lisa Zahren. 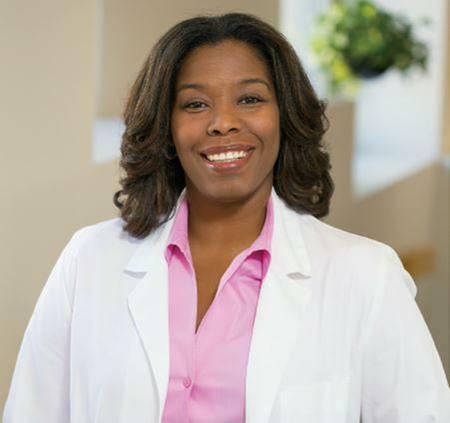 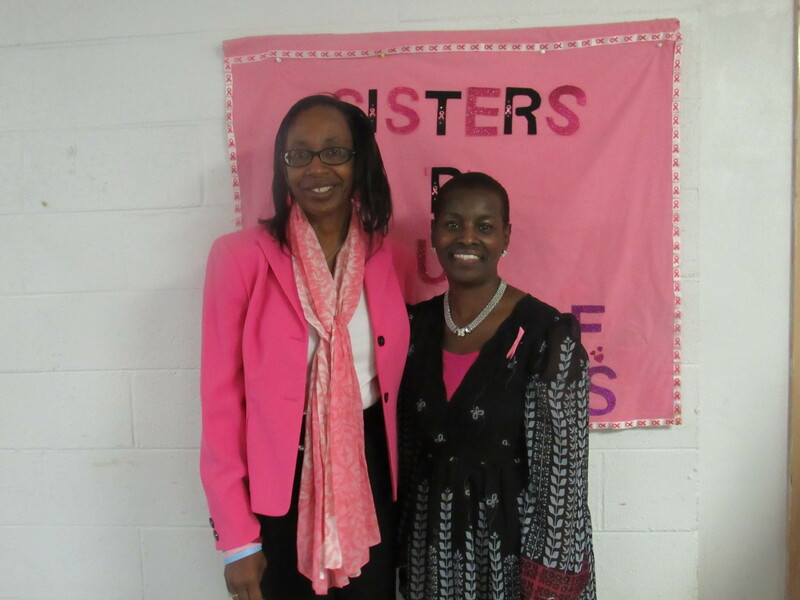 Dr. Monique Gary, a board certified, fellowship-trained Breast Surgical Oncologist at Grand View Health in Sellersville, PA and Jeanette Stephens-El, an accomplished author, breast cancer thriver, who has served as Fundraising Chair, Race for the Cure Chair and Community Ambassador to Susan G. Komen for the Cure Philadelphia since 2008 gave dynamic talks relevant to a breast cancer diagnosis, treatment, prevention and survivorship. 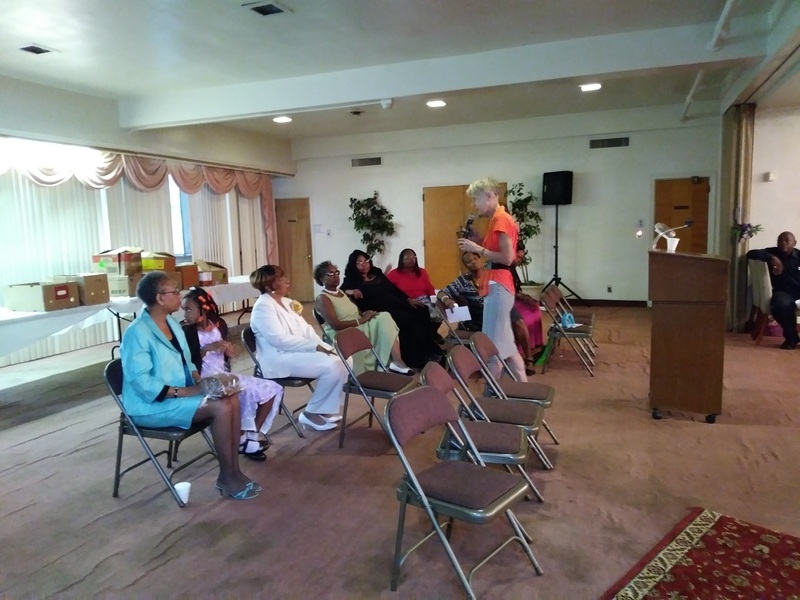 Each talk was followed by questions from the attendees. 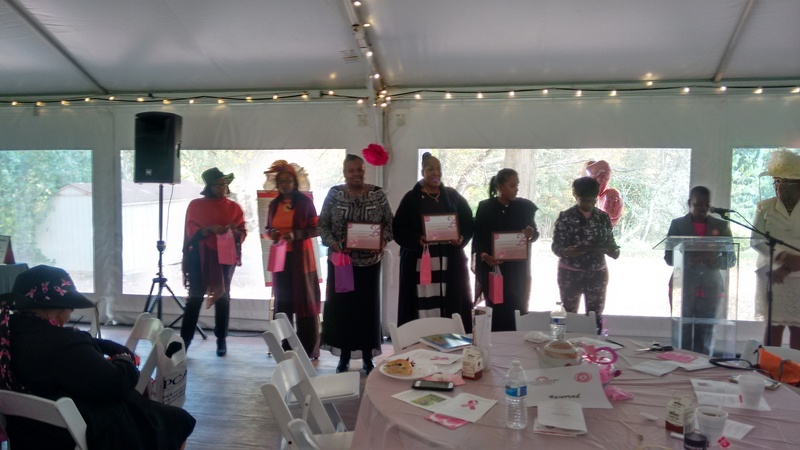 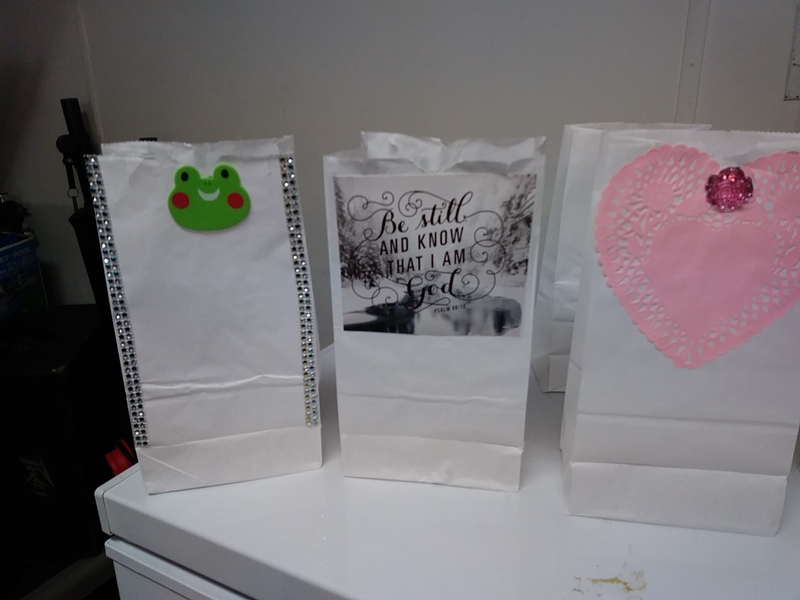 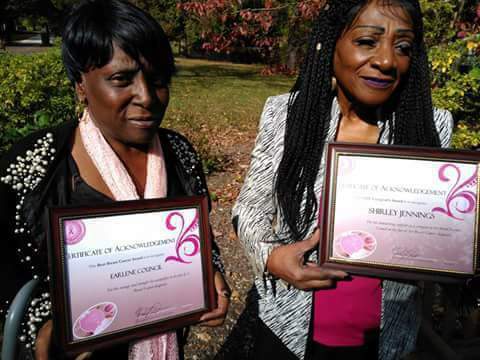 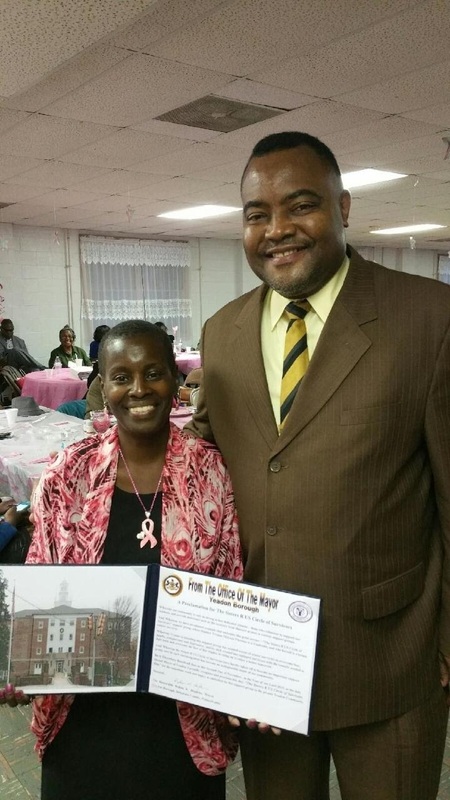 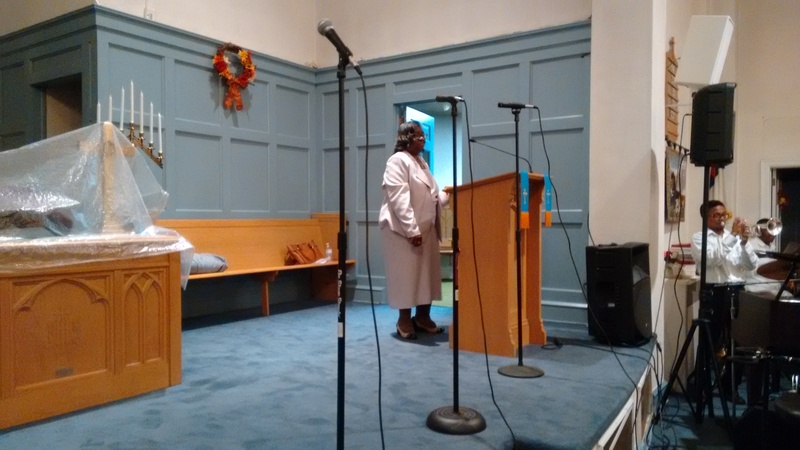 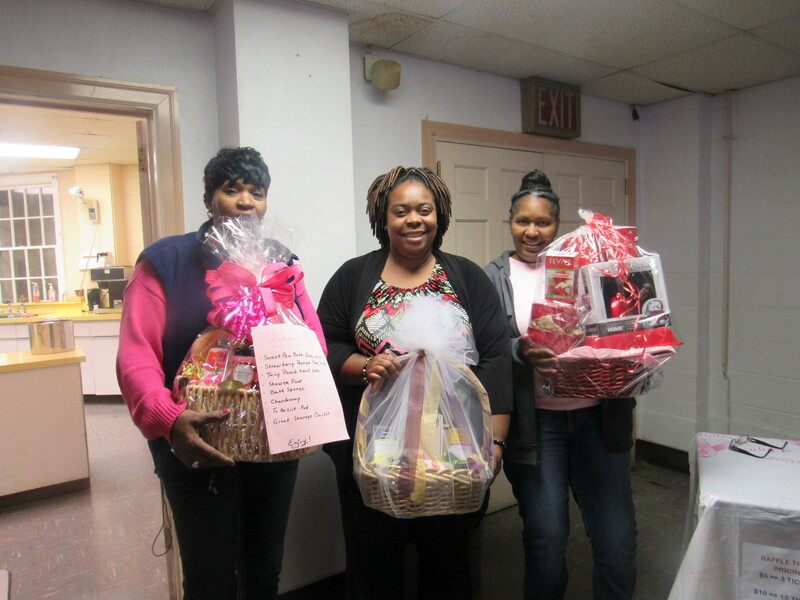 During the program Sisters R Us Circle of Survivors also presented several stipends and awards. 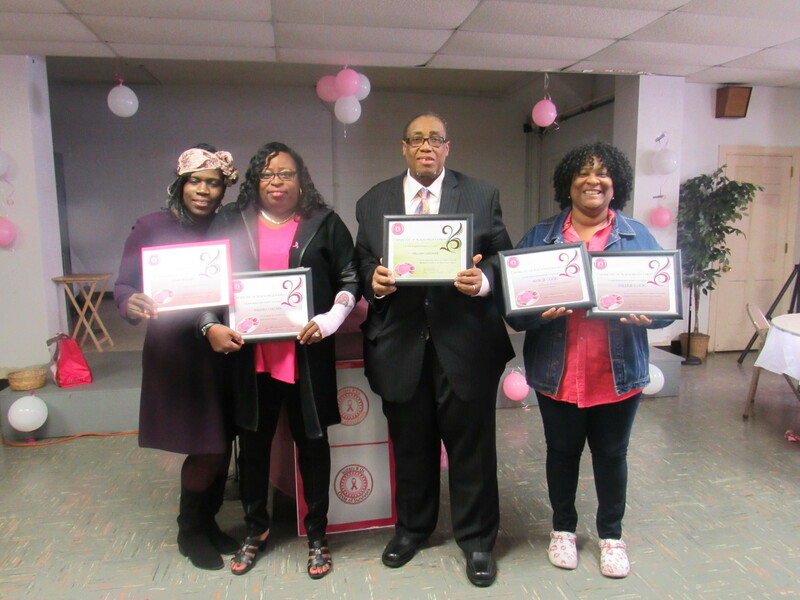 1) The Beat Breast Cancer Award to patients in treatment (Earlene Council, Kenya Jackson, Leona Richardson, and Hyneefah Singleton); 2) The CEF Caregiver's Award to their 4 caregivers and 3) The Thriving Beyond Breast Cancer Award to four survivors (Sandra Cooper, LaDeania Bennett-Green, Gloria Odom, and Sonara Stepteau) and one Forever Fighter (Felicia Johnson) for their commitment to volunteering with local breast cancer organizations. 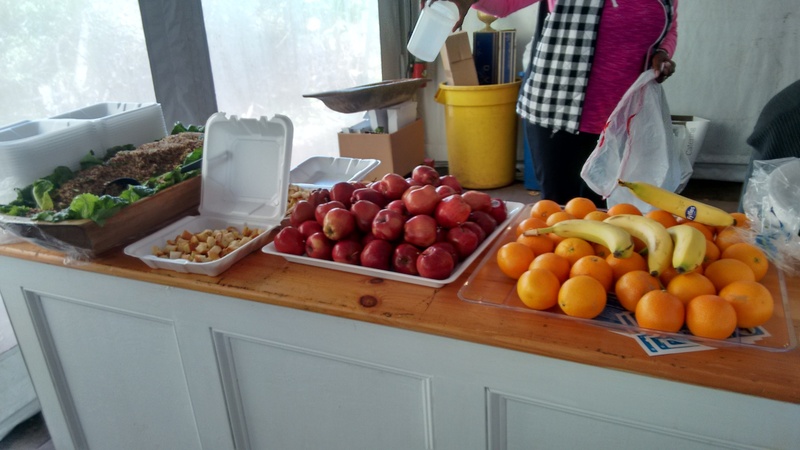 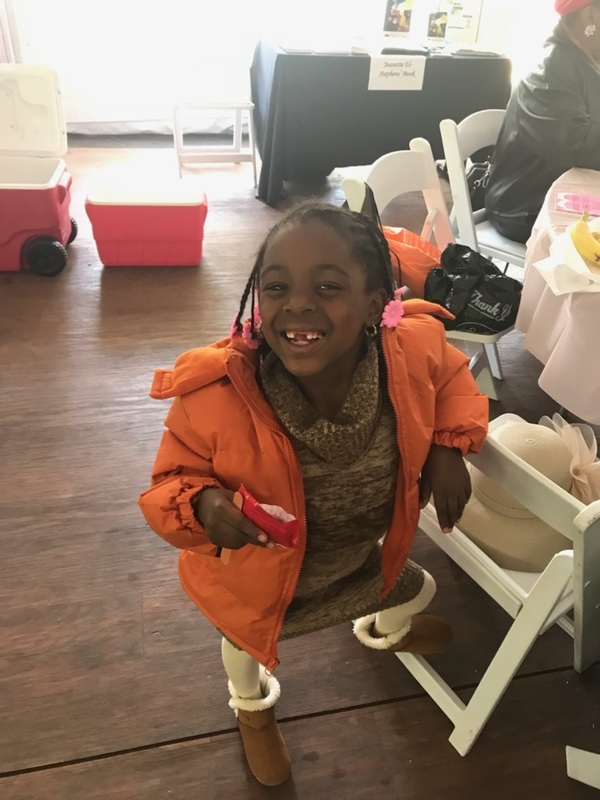 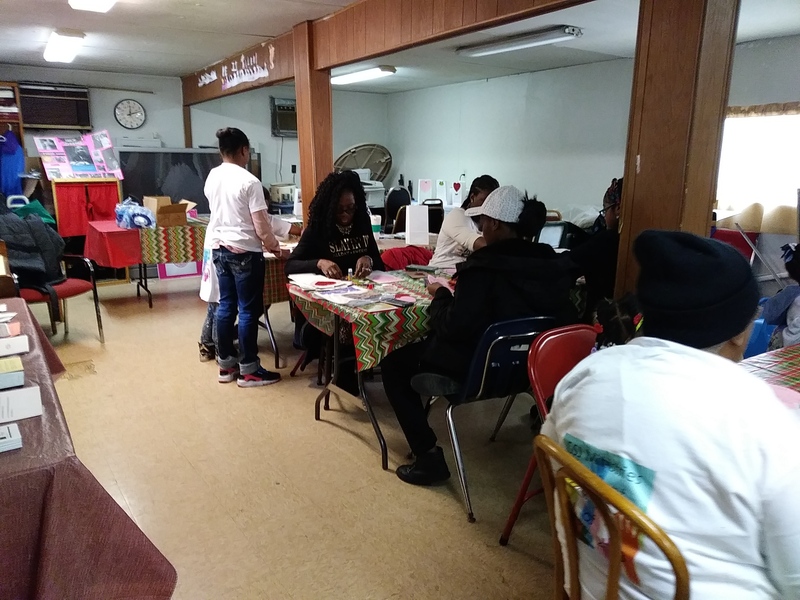 A heartfelt thanks to all of the businesses that supported the event by donating in kind items and for all of the volunteers who helped make the event run smoothly! 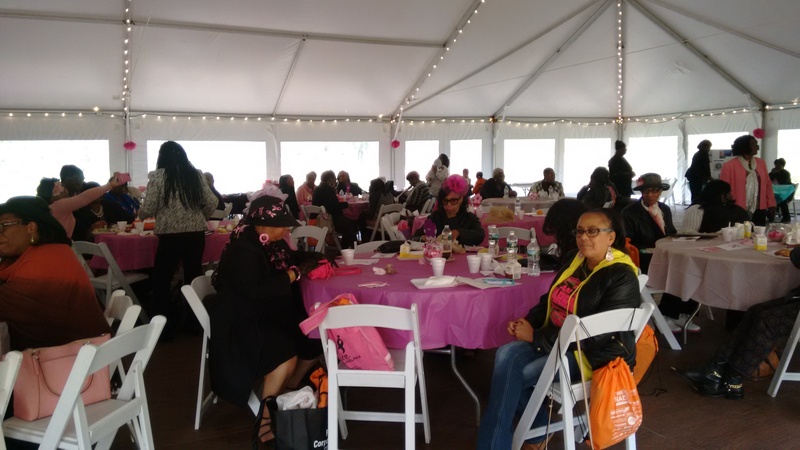 Sisters R Us Circle showed up in rare form to support the Making Strides Against Breast Cancer walk. 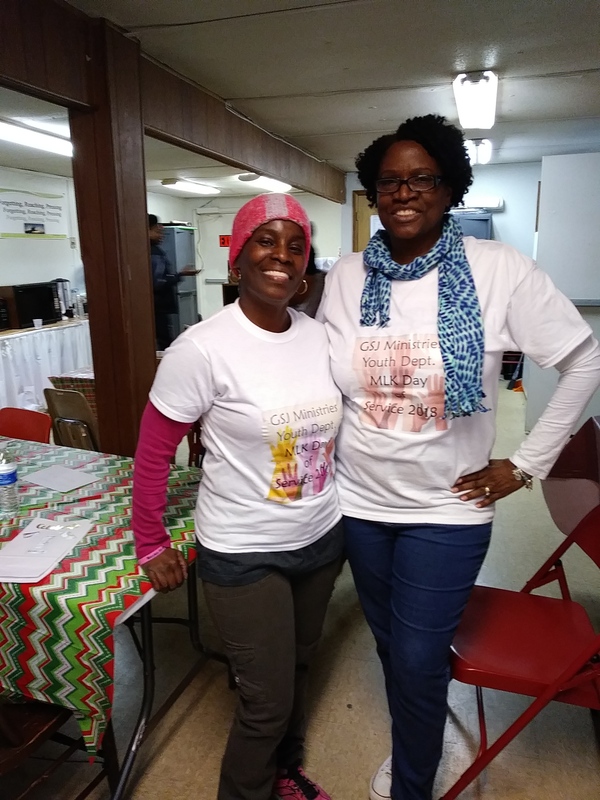 We had fun walking and raising funds. 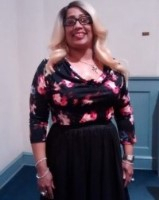 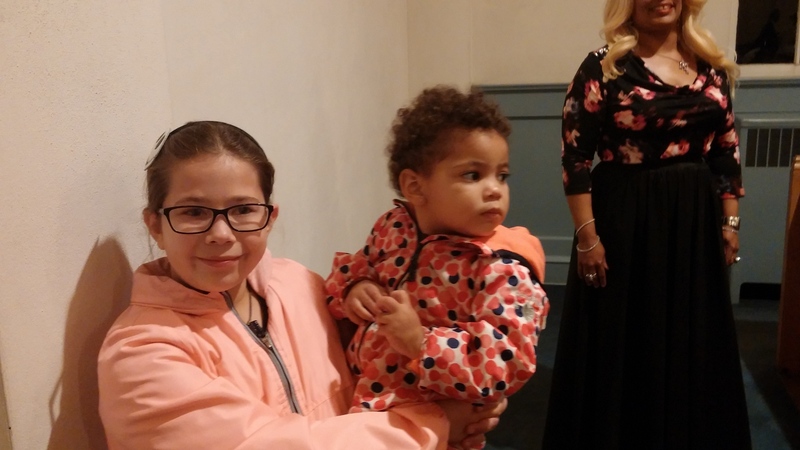 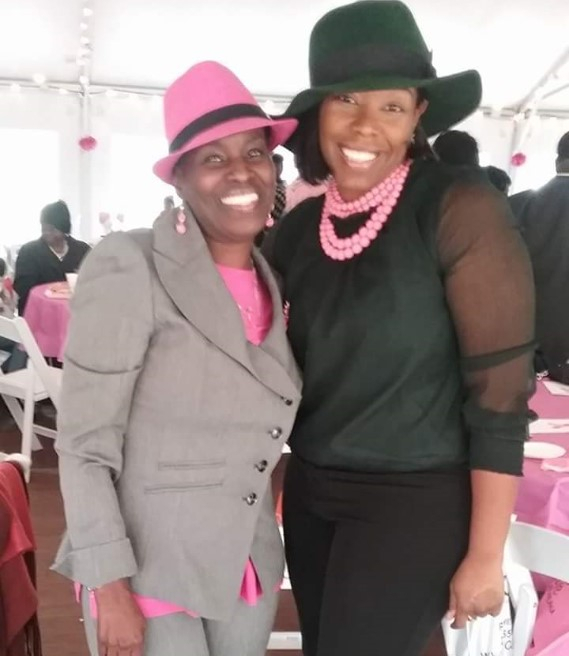 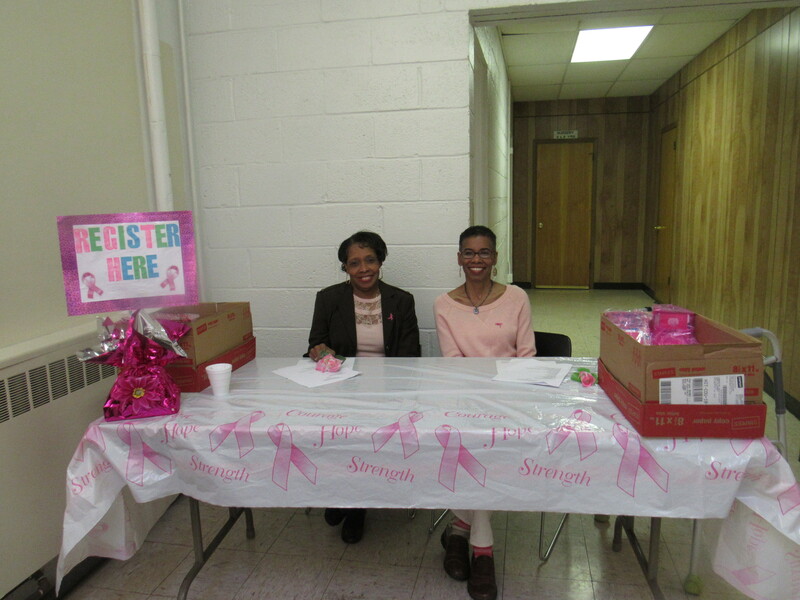 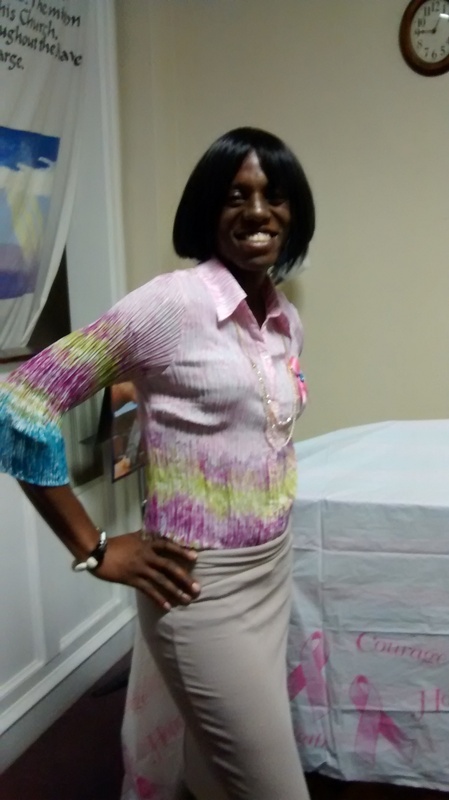 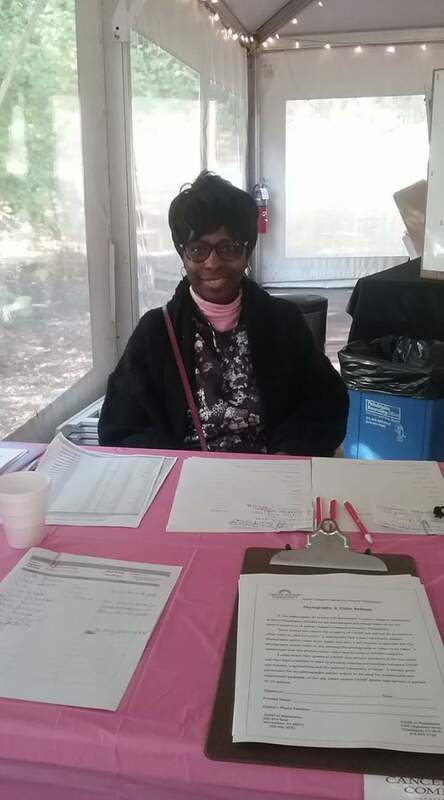 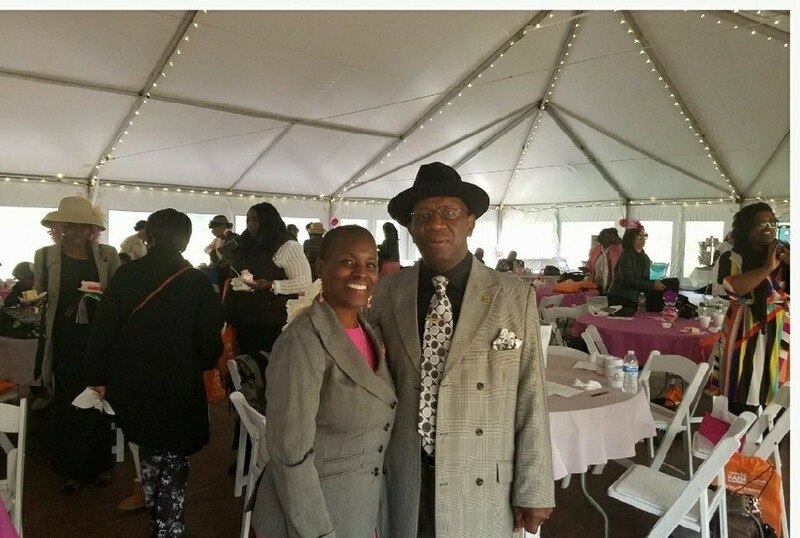 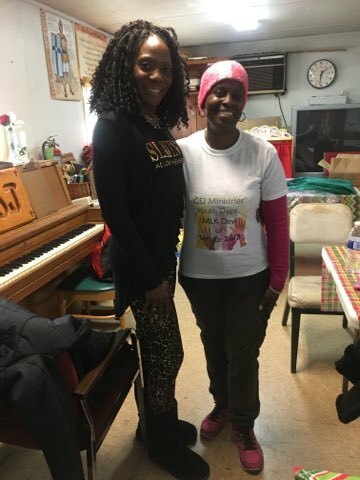 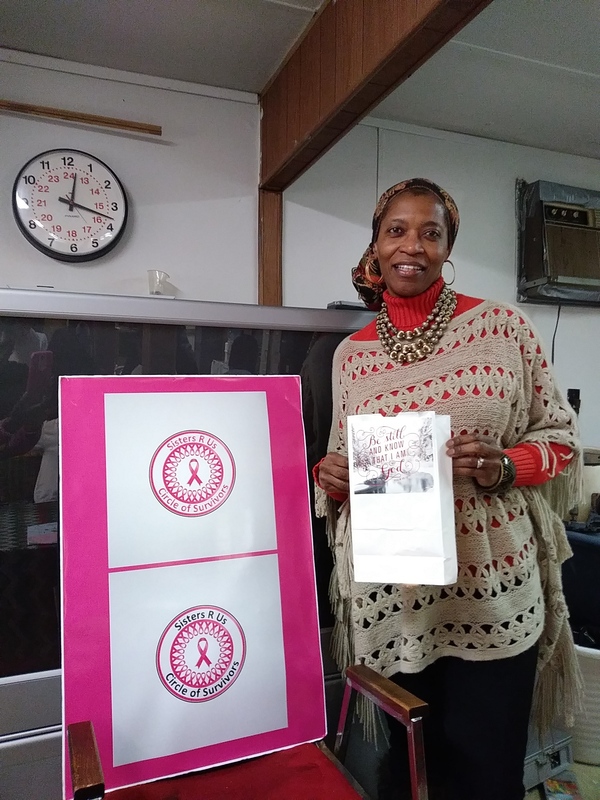 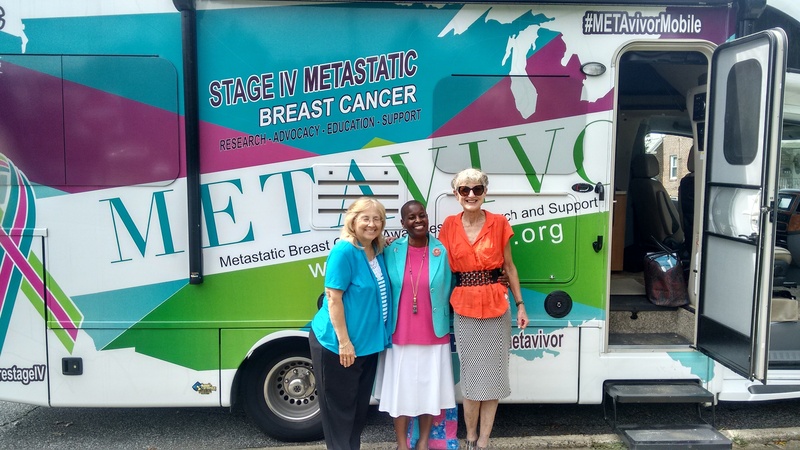 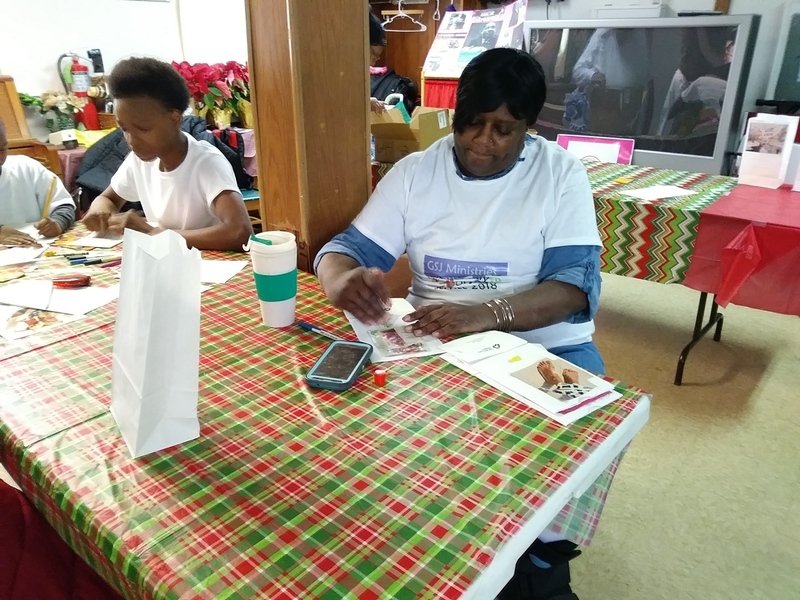 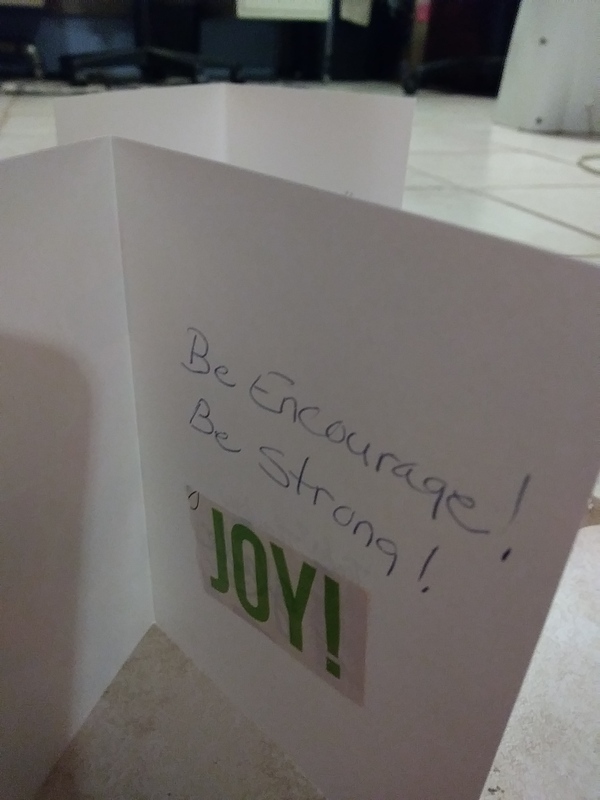 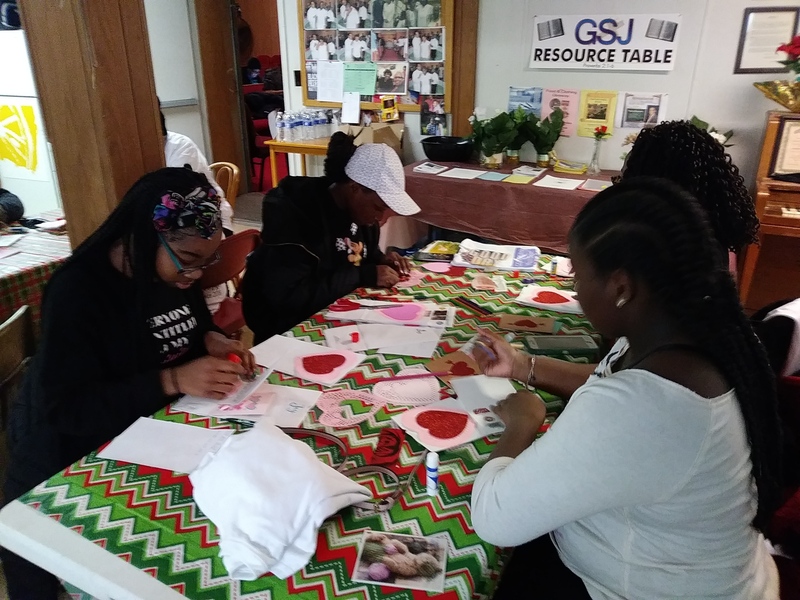 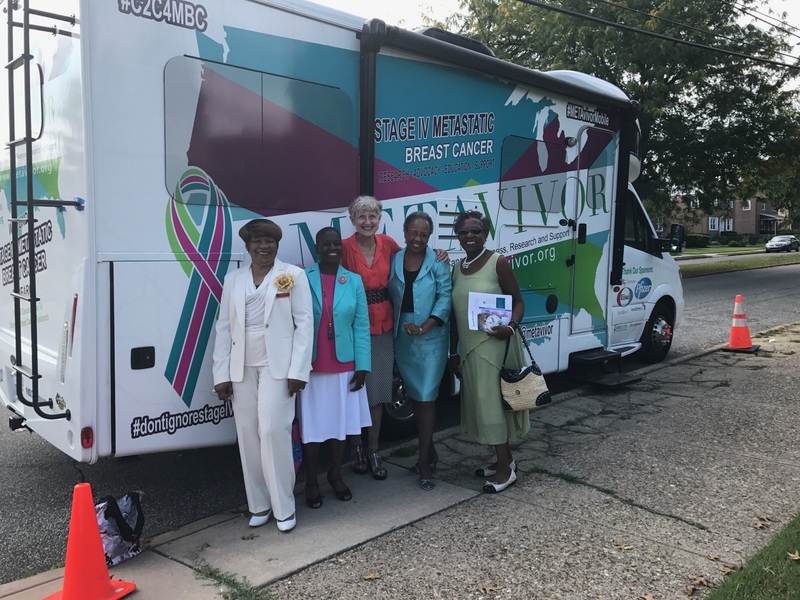 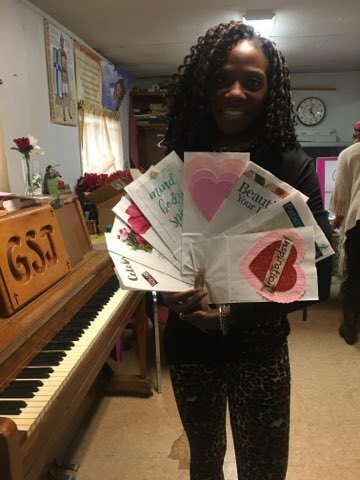 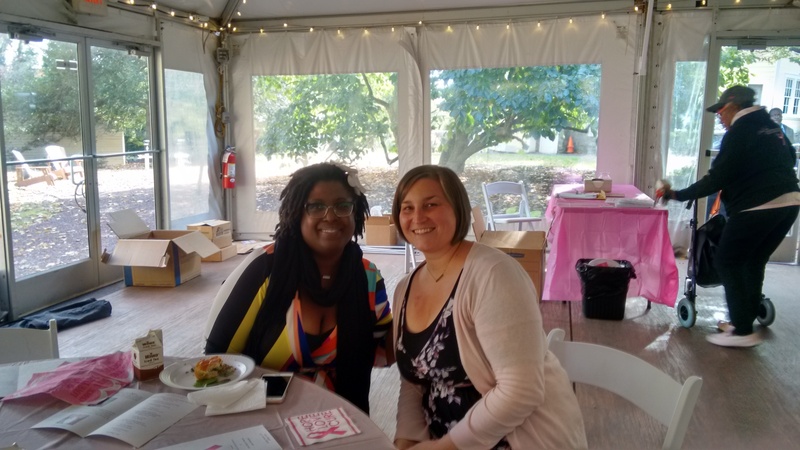 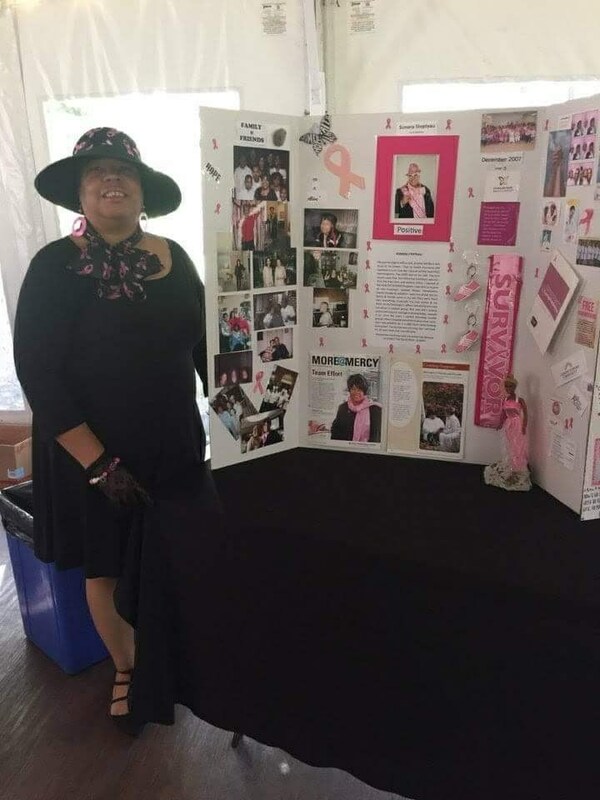 Cj James, METAvivor's Co Founder along with her assistant Patti made a stop in Yeadon to help Sisters R Us Circle of Survivors shine the light on Metastatic Breast Cancer in the African American Community. 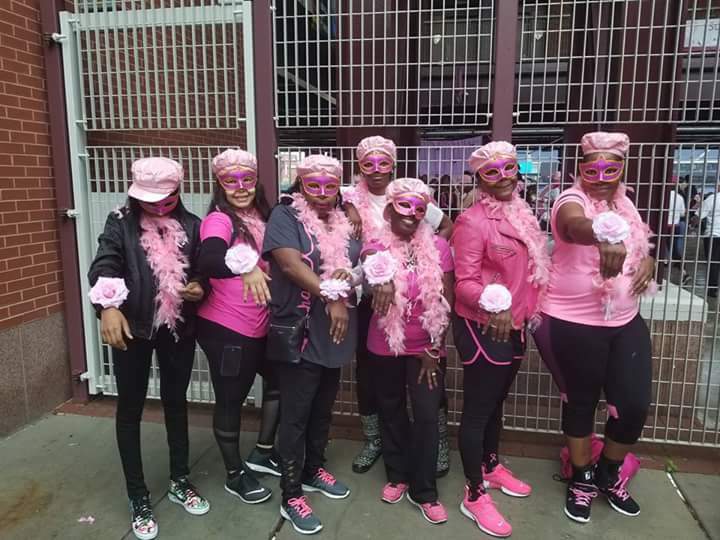 Survivors and Supporters Night Out at the Phillies game on Friday, August 25th cheering our home team to a 7-1 VICTORY over the Chicago Cubs! 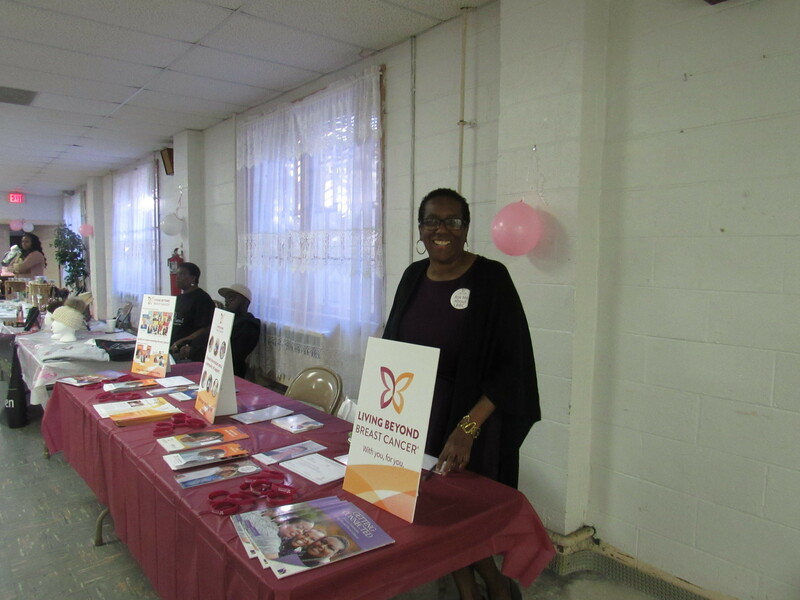 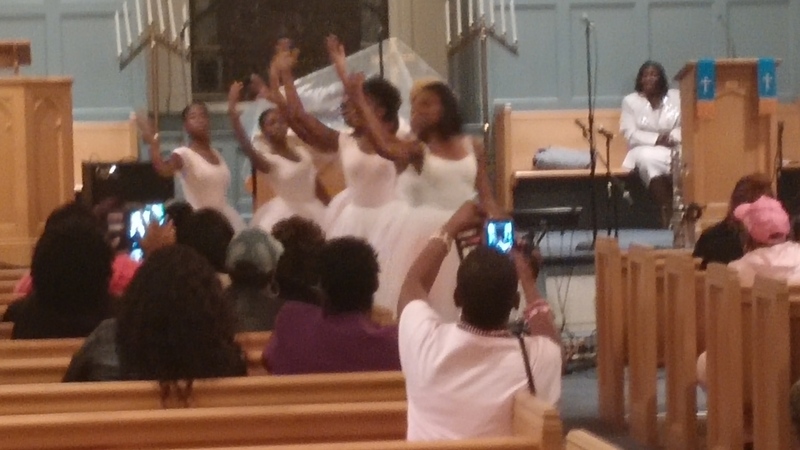 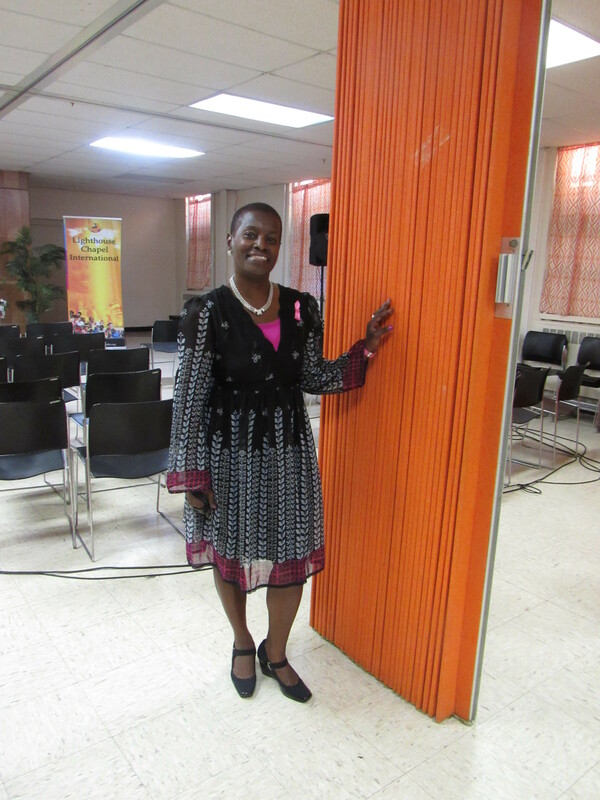 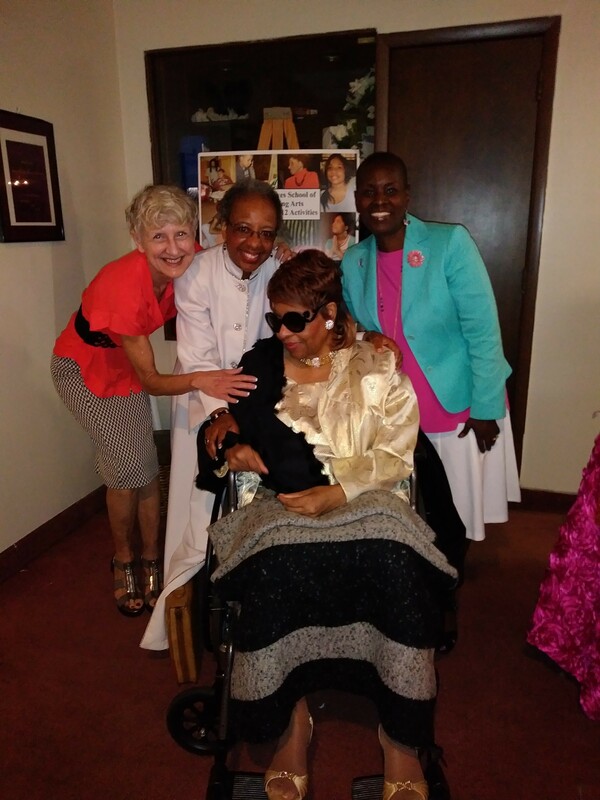 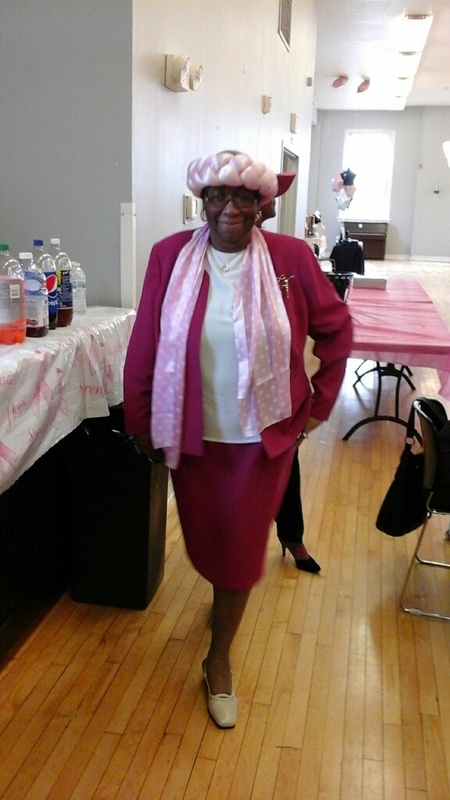 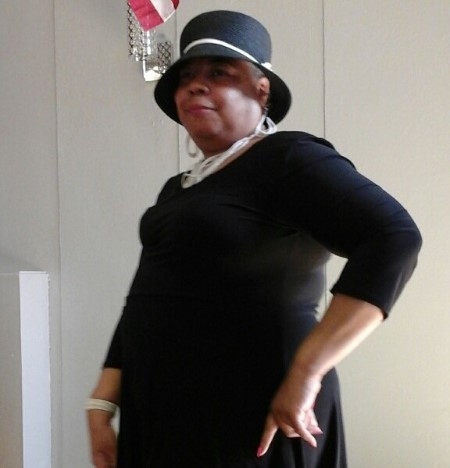 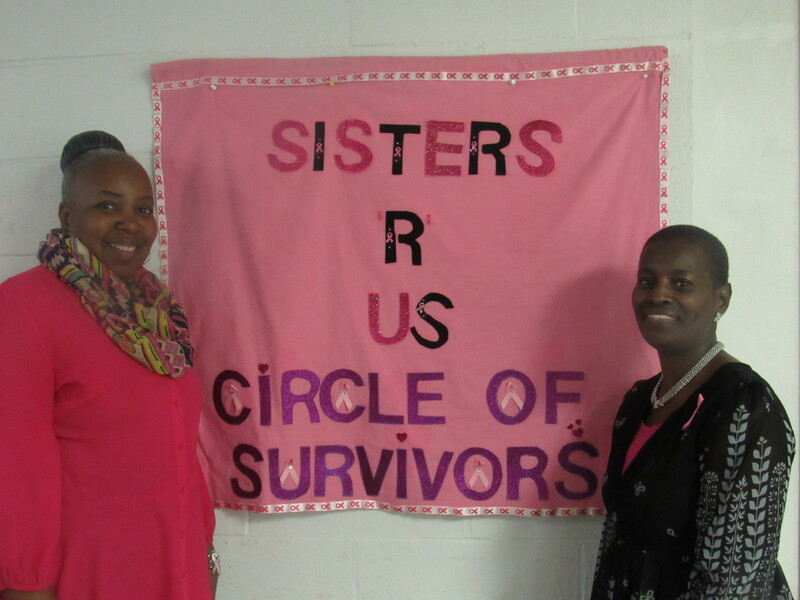 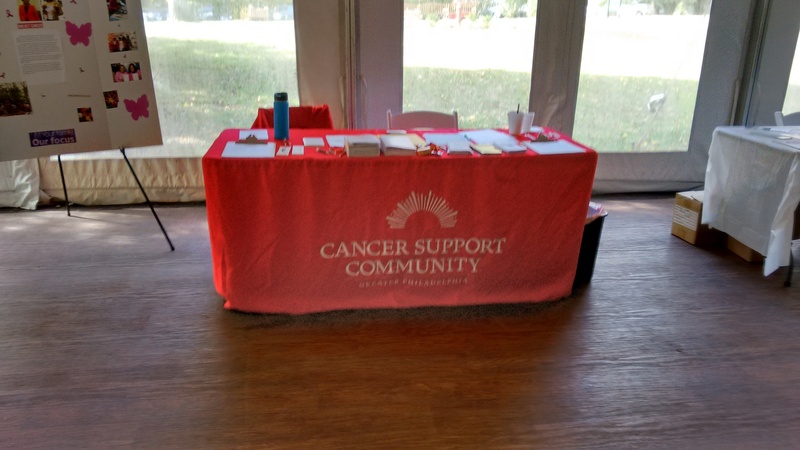 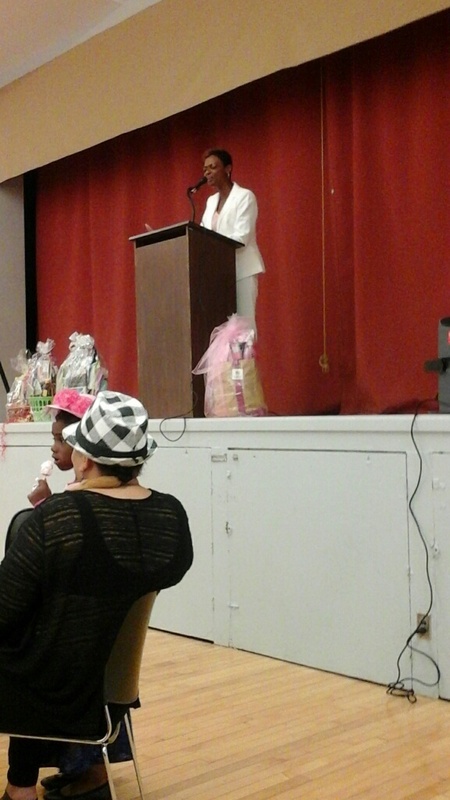 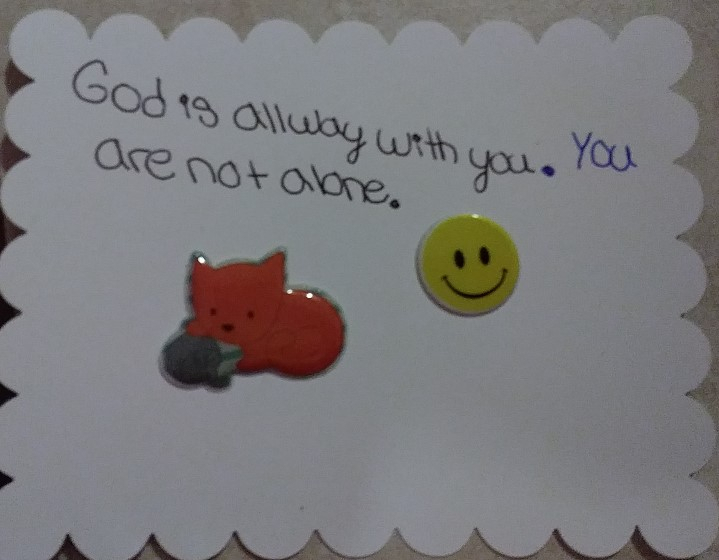 Sisters R Us Circle of Survivors hosted their very first National Cancer Survivors Day event. 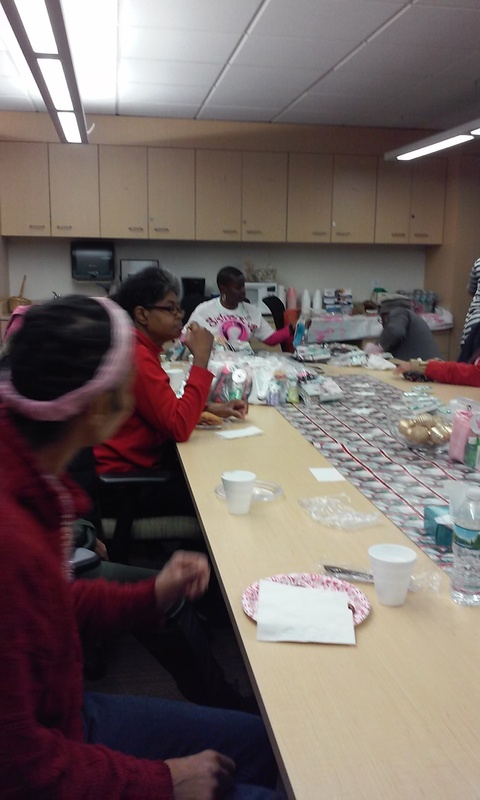 Once you receive a diagnoses of cancer, birthdays become very special so our theme was “Everybody’s Birthday Party”. 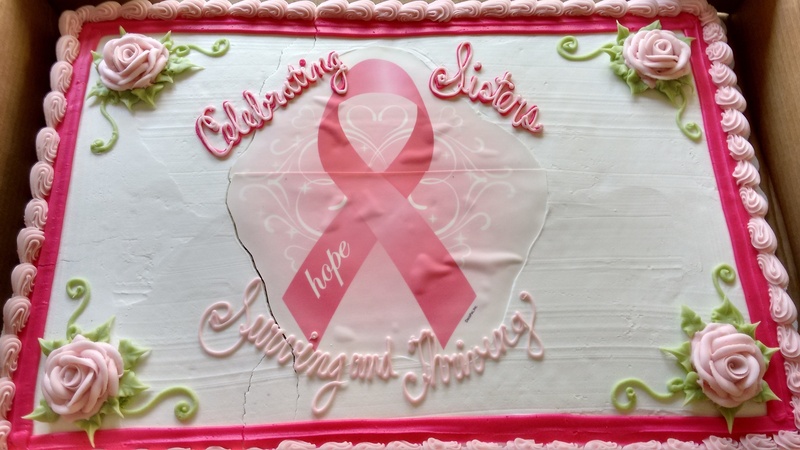 The biggest party in Yeadon for cancer survivors. 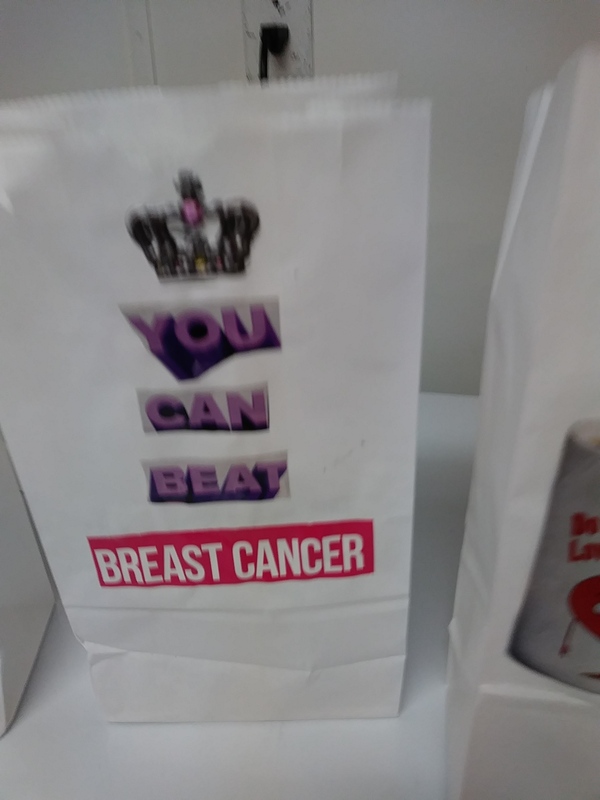 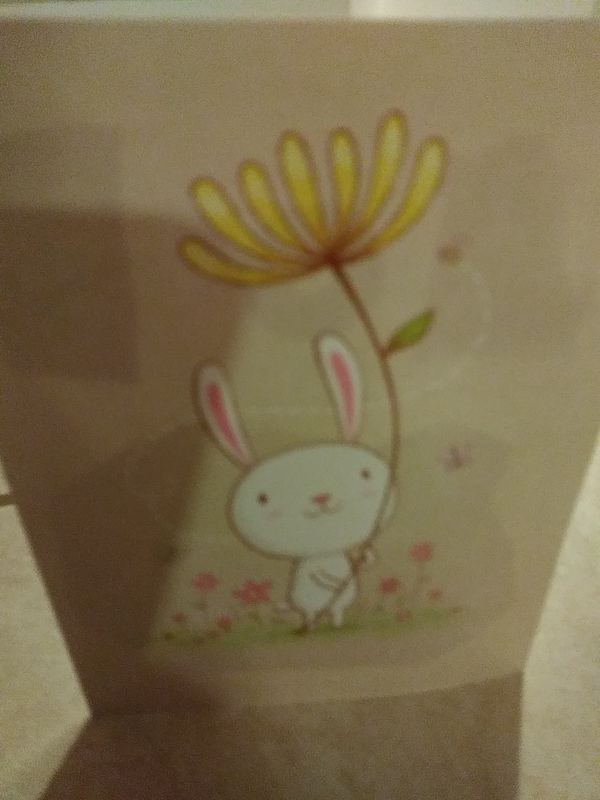 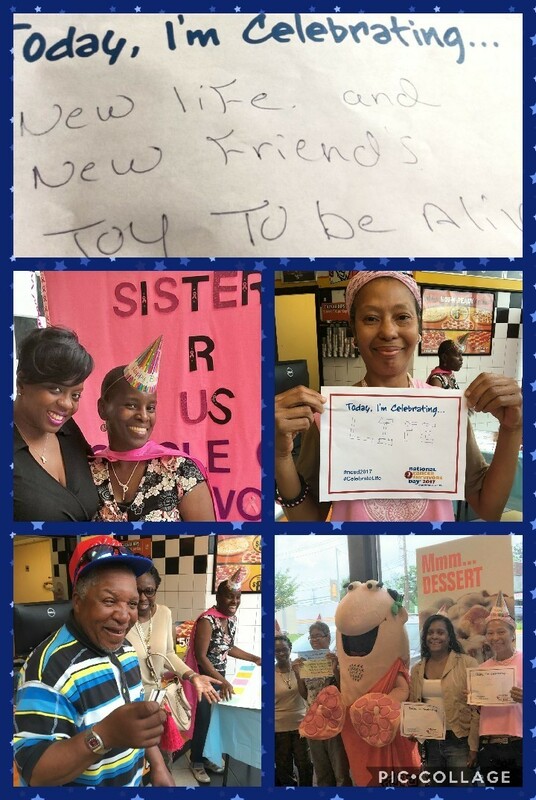 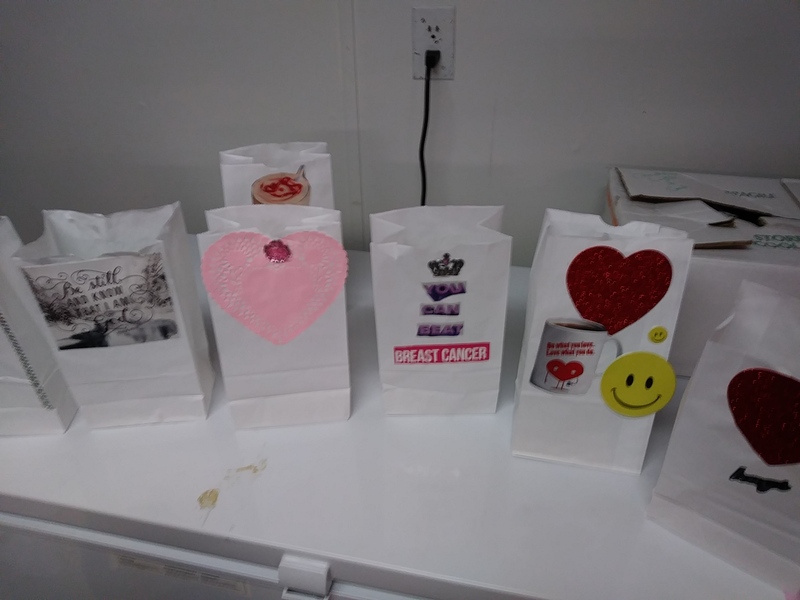 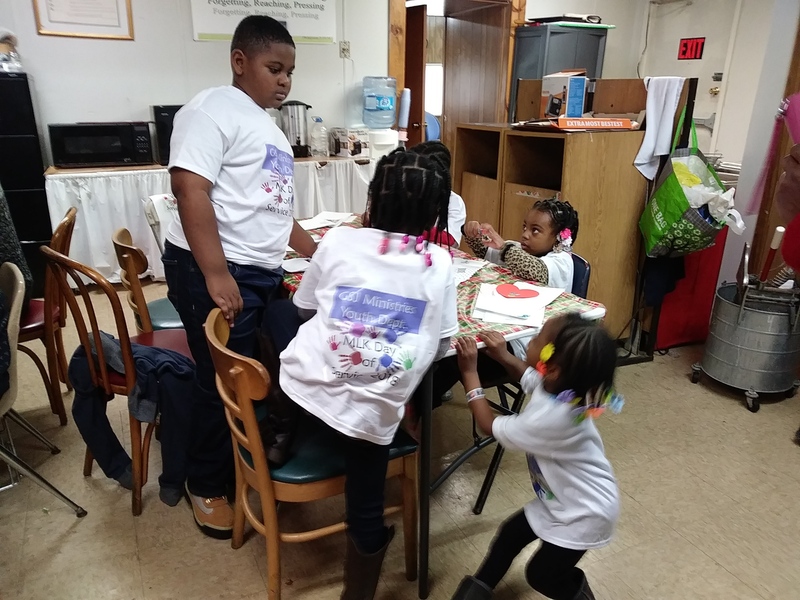 Survivors donned their birthday hats while having an awesome time at Little Caesars Pizza in Yeadon celebrating their CANCERVERSARY playing games, laughing, eating pizza and sharing with one another their challenges of being diagnosed with cancer and the joy of being a survivor. 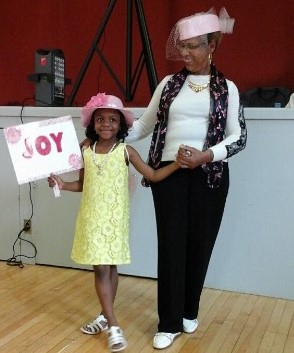 Thanks to our donors, supporters , survivors, hat models and volunteers our 4th Annual Luncheon & Hat Fashion Show fundraising event was a SUCCESS! 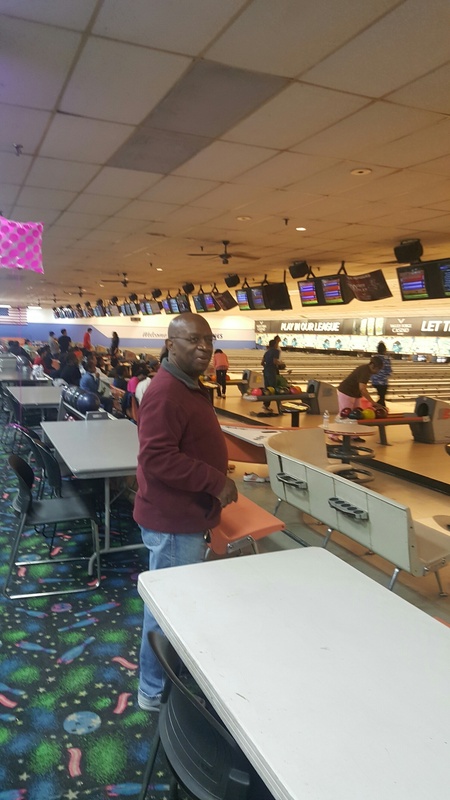 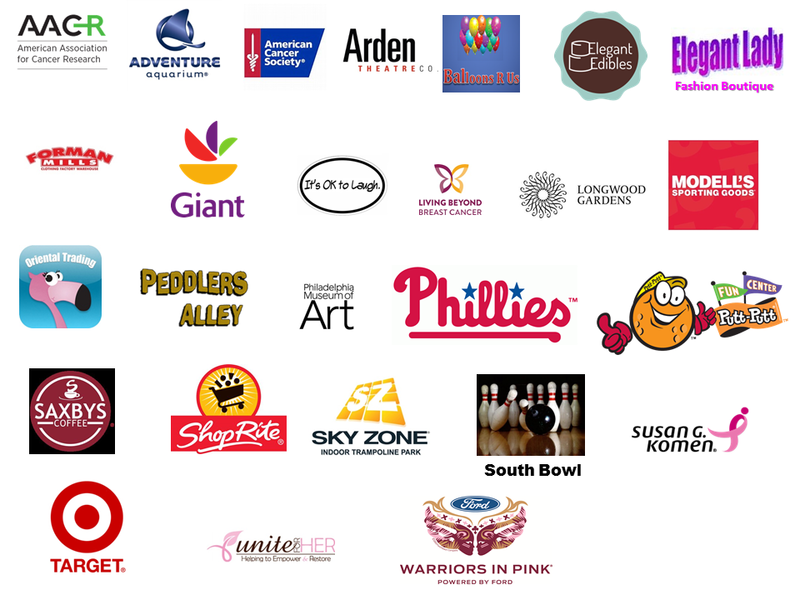 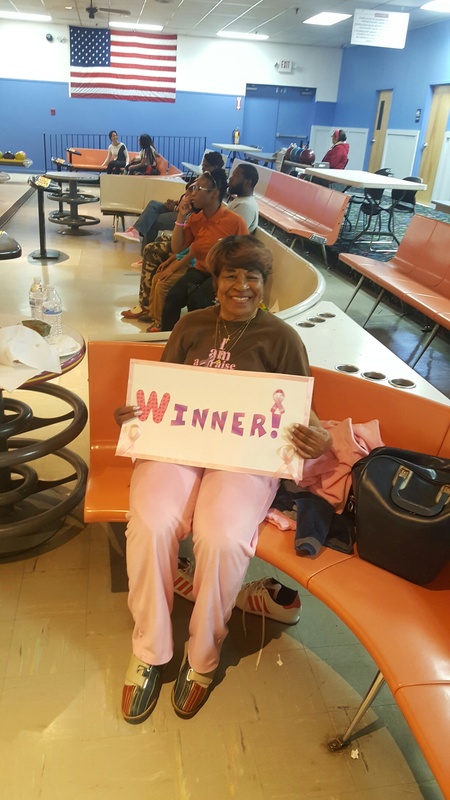 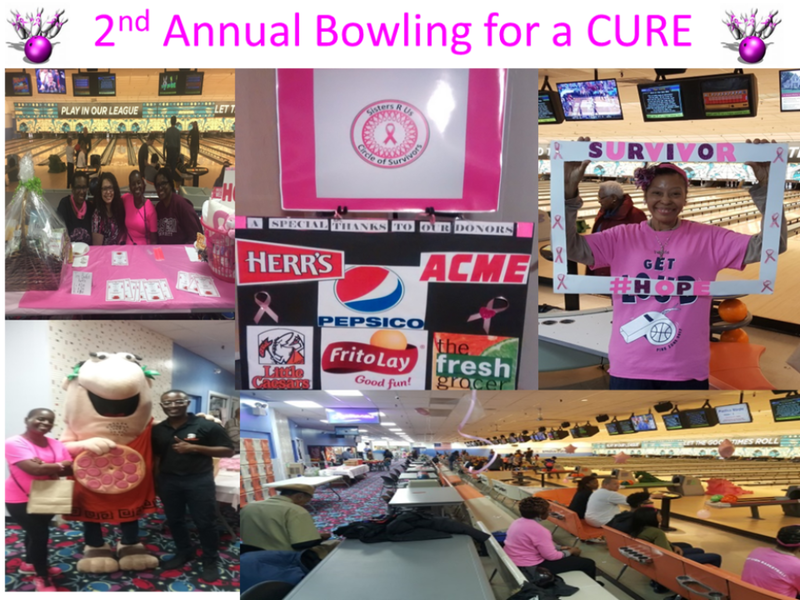 Thanks to donations from Herr's, Pepsico, Frito Lays, Fresh Grocer, Elegant Edibles, supporters, survivors and volunteers we had a great time during our 2nd Annual Bowling for a CURE fundraiser held at Sproul Bowling Alley Lanes on April 1, 2017. 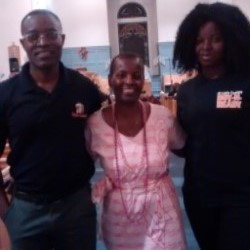 A Special Thanks to Mr. Kodwo Ewusi and the Little Caesars Pizza mascot for dropping by with HOT pizza and giveaways! 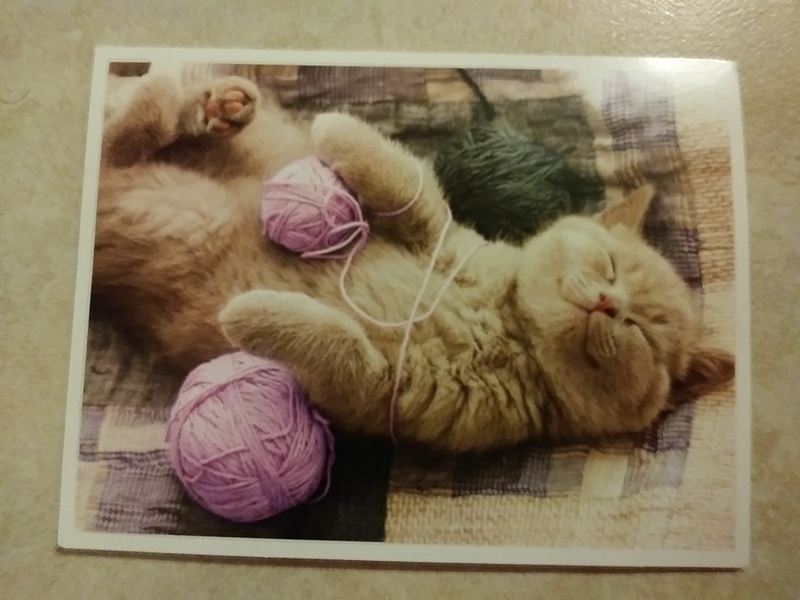 EVERY ball rolled. 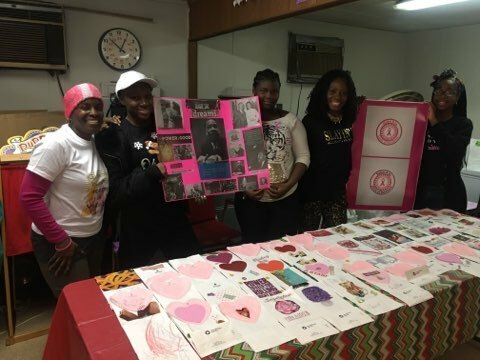 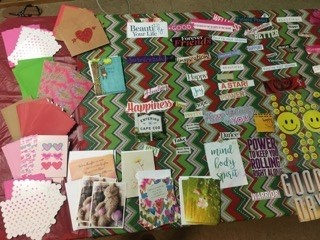 EVERY pin knocked down helped Sisters R Us to raise funds to support women diagnosed, being treated and living beyond Breast Cancer. 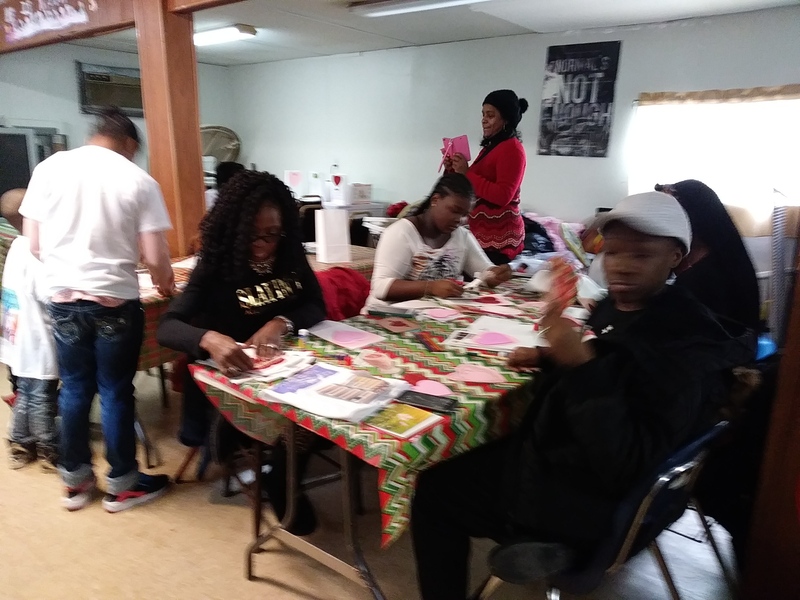 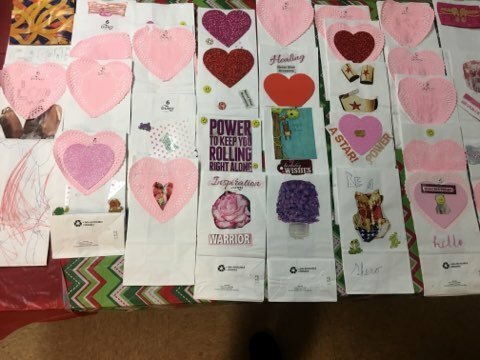 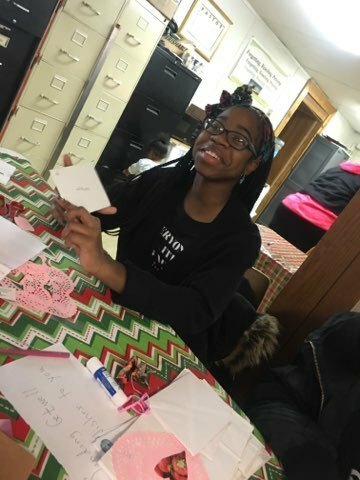 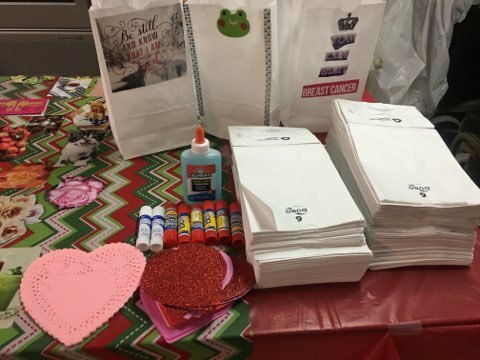 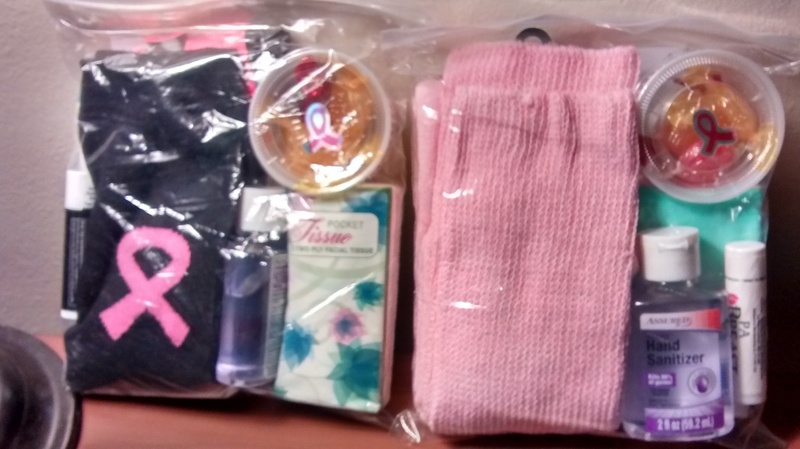 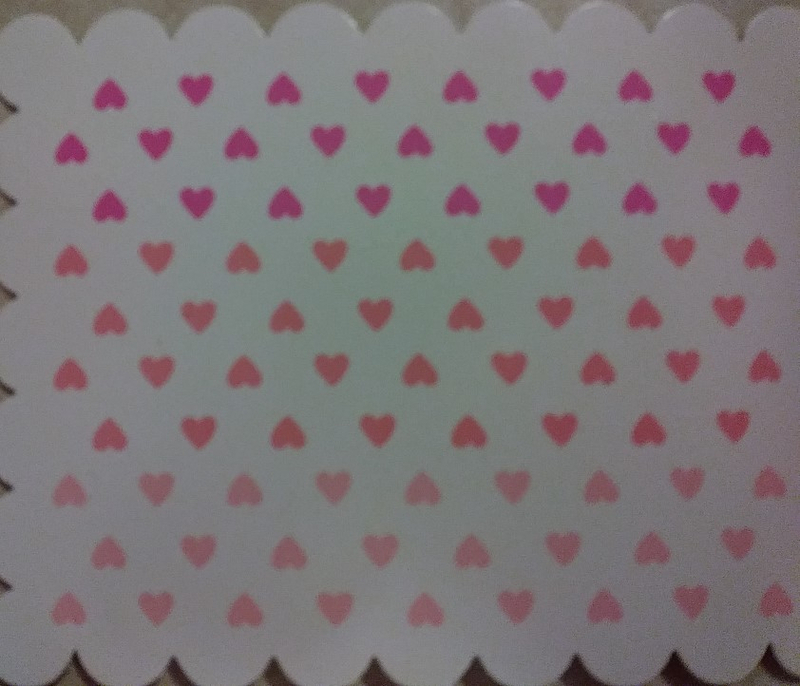 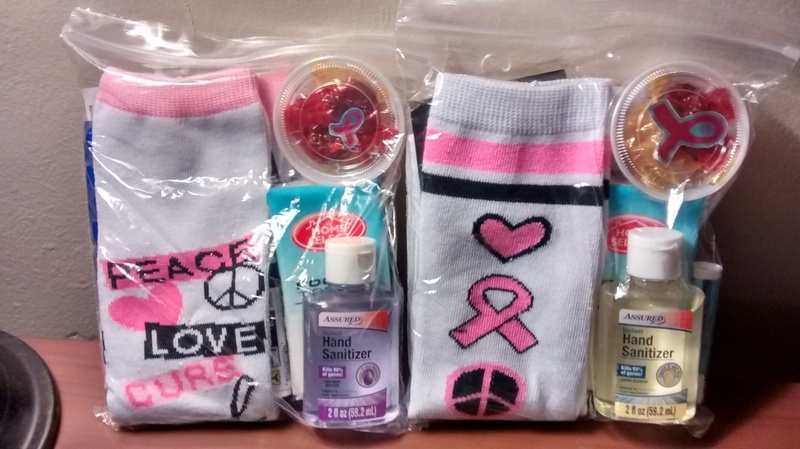 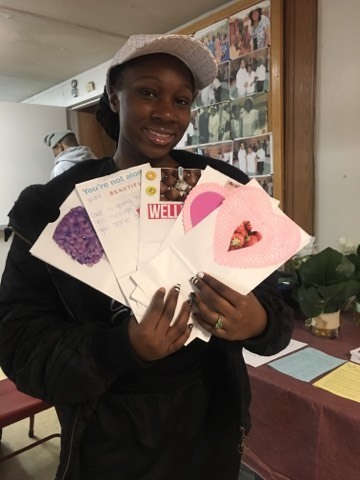 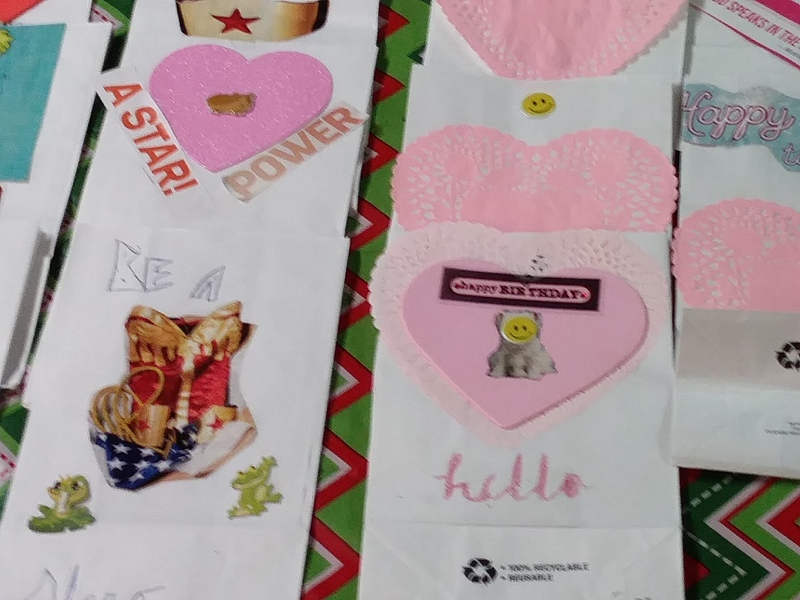 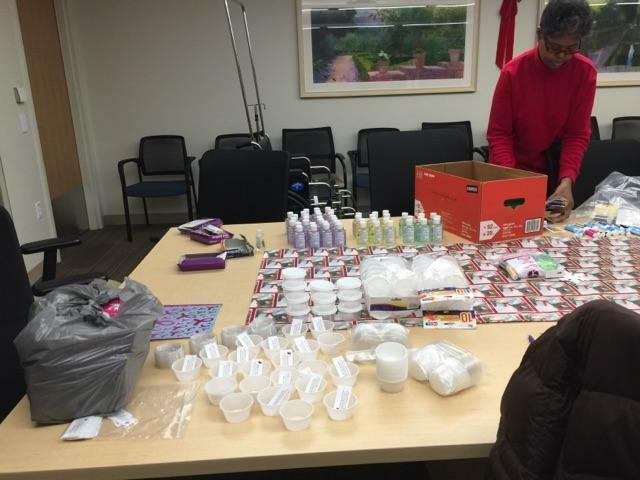 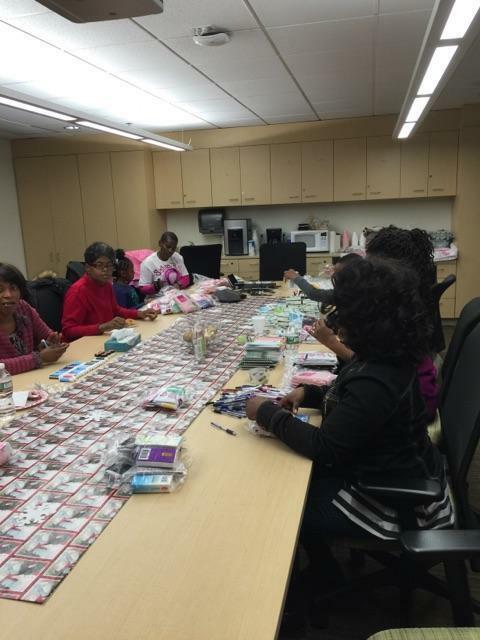 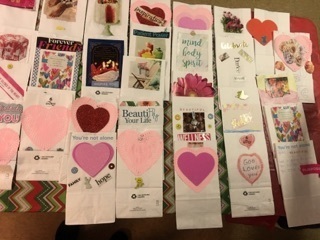 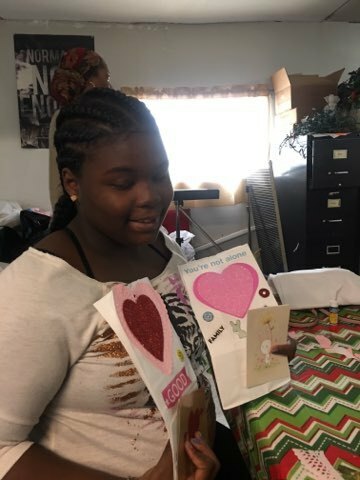 A Heartfelt 'Thank You' to the Penn CARES Program for providing space and to the Volunteers who showed up to help assemble packets for our Socks for Survivors Campaign. 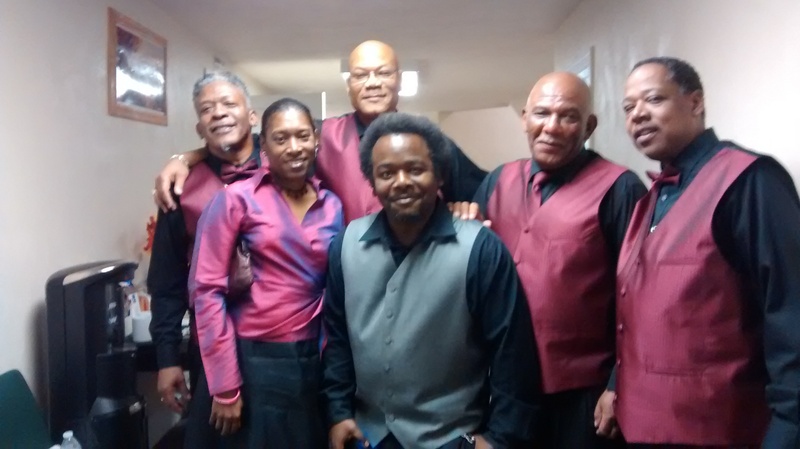 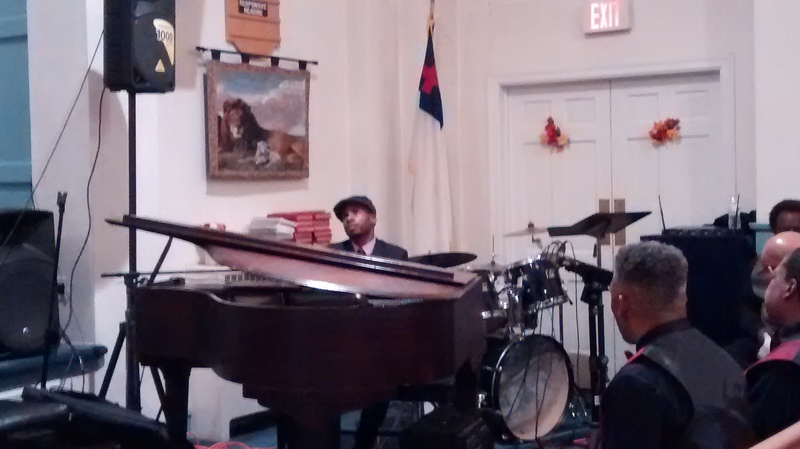 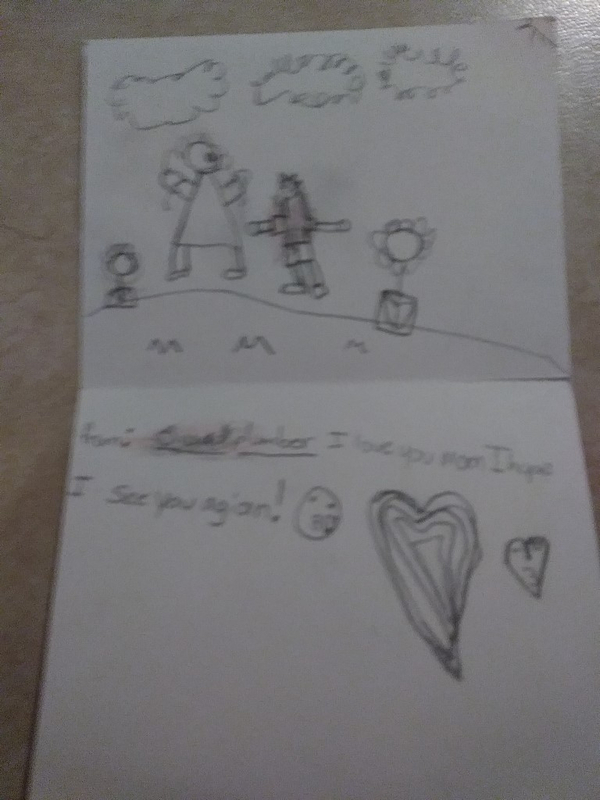 Thanks to Rev. 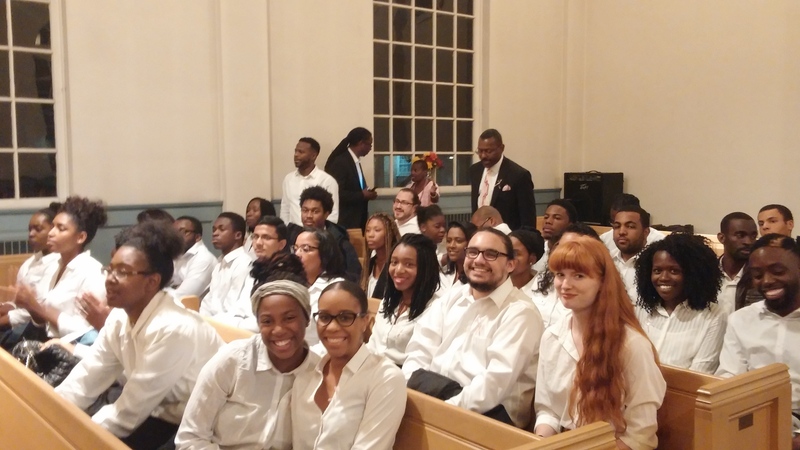 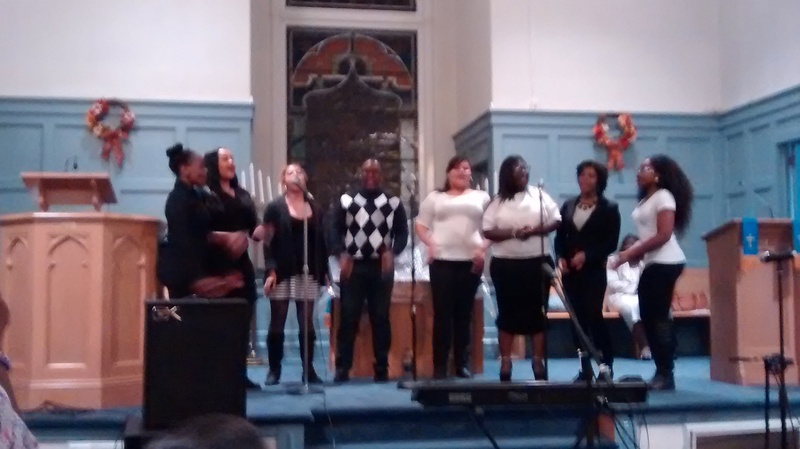 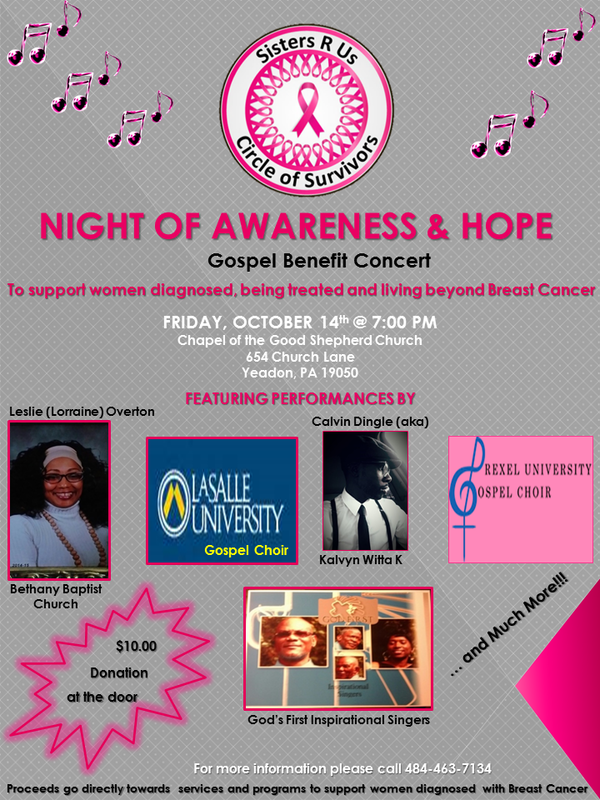 Gregory Ross and the Drexel University Gospel Choir, Jane Ortiz and the LaSalle University Gospel Choir, Calvin Dingle, Leslie Overton, God First Inspirational Singers, Denise Wortham, Founder of Onstage Productions, Inc., Kodwo Ewusi from Little Caesars Pizza and Robin's Pink Journey for helping Sisters R Us sponsor an amazing Benefit Concert to support women impacted by a diagnosis of Breast Cancer.